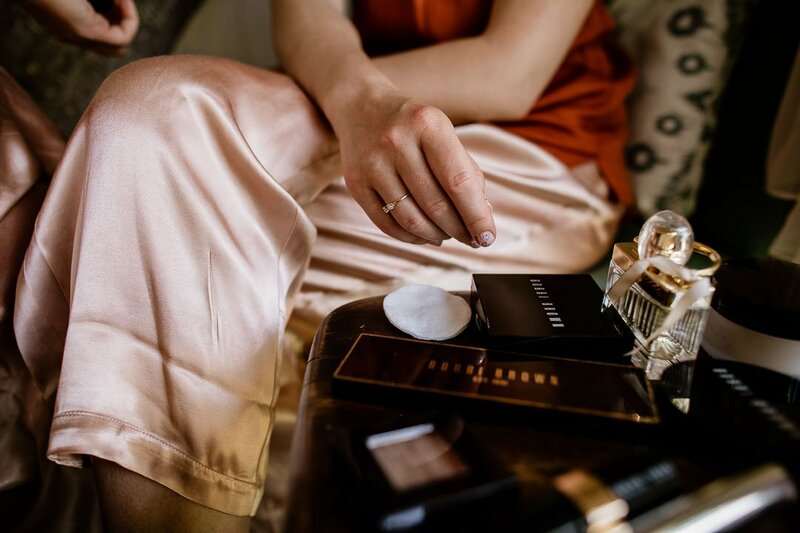 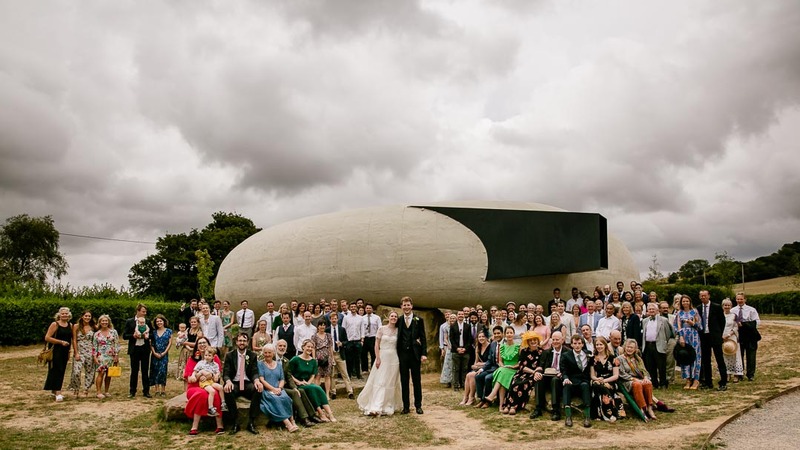 Some weddings are traditional, others more contemporary, and some are a combination of the two. 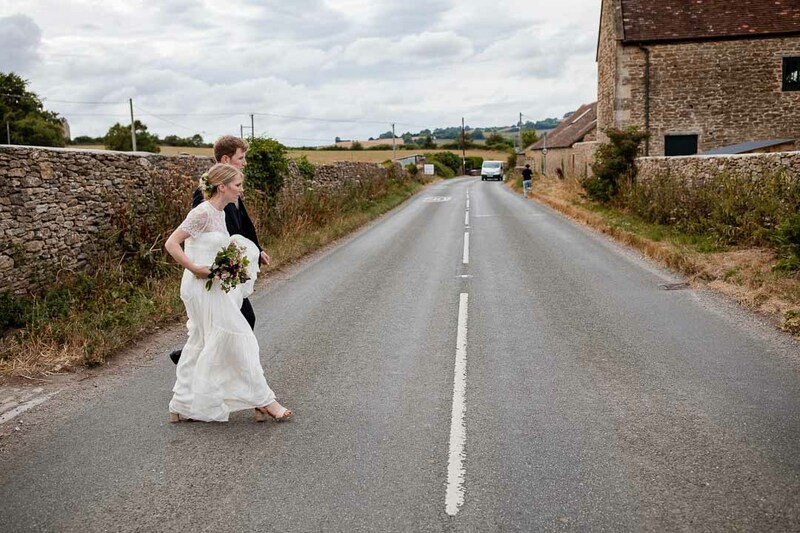 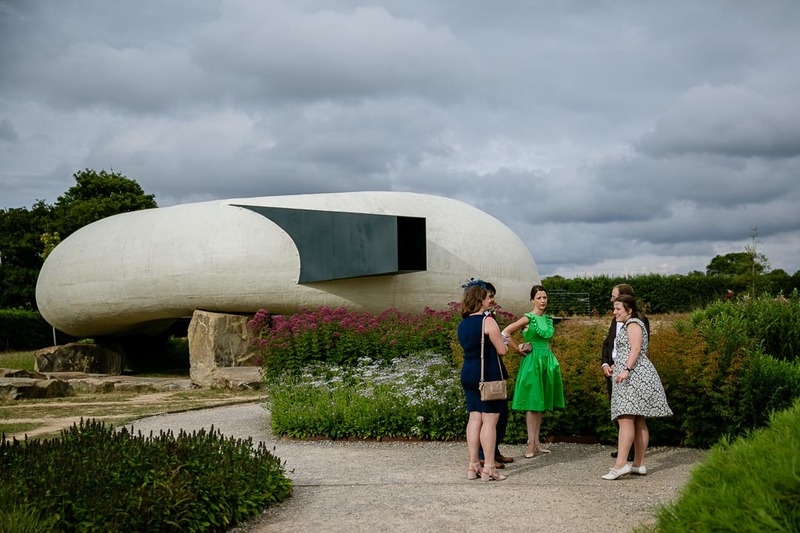 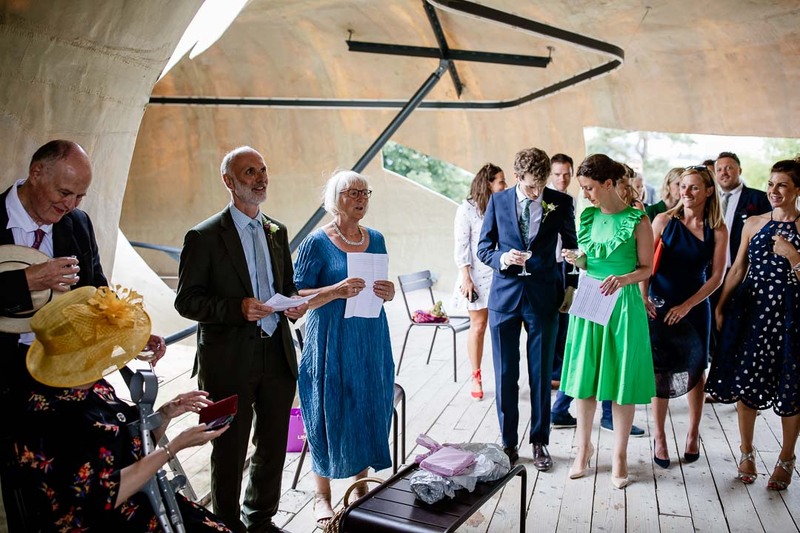 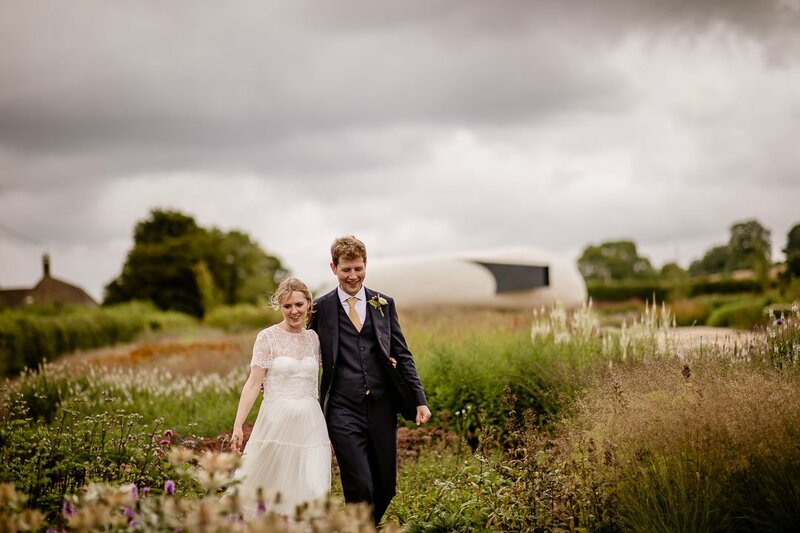 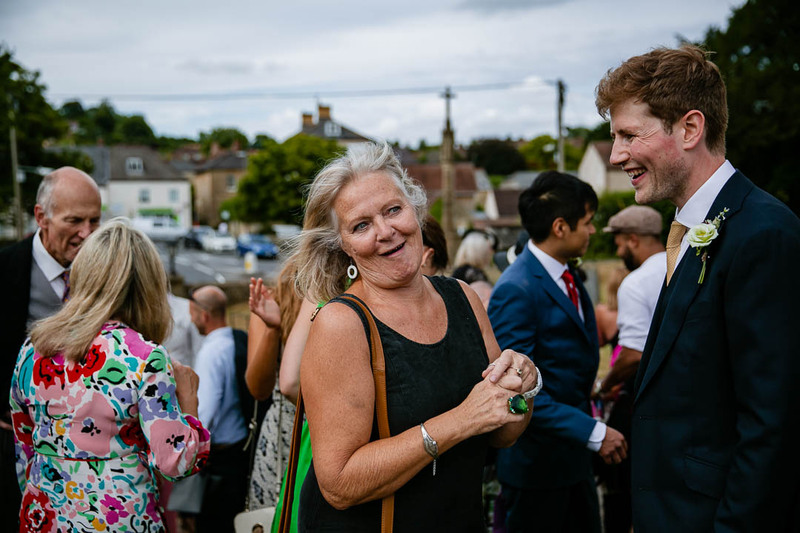 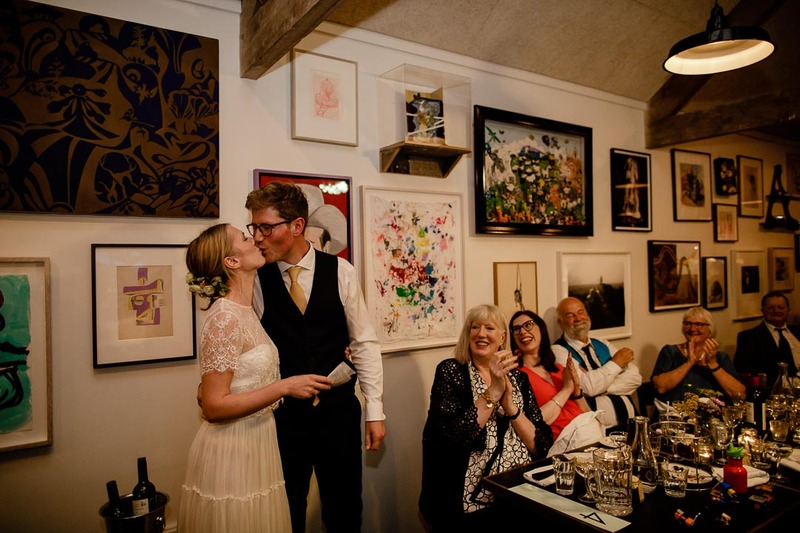 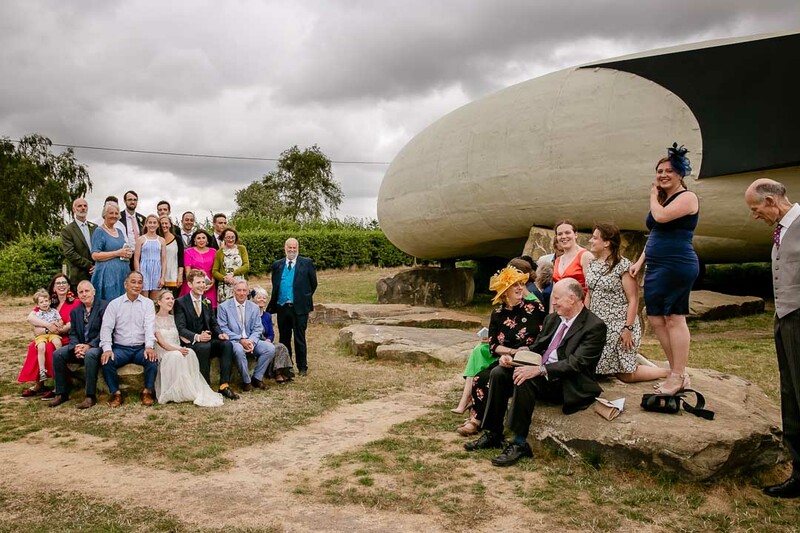 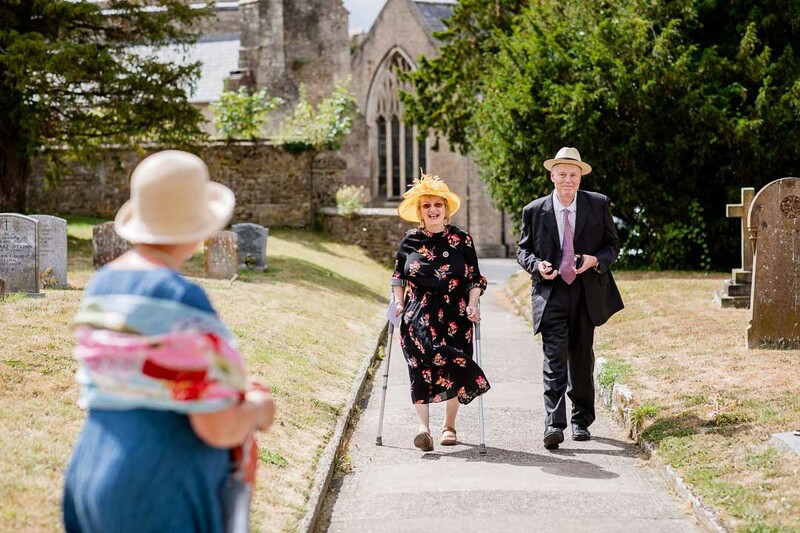 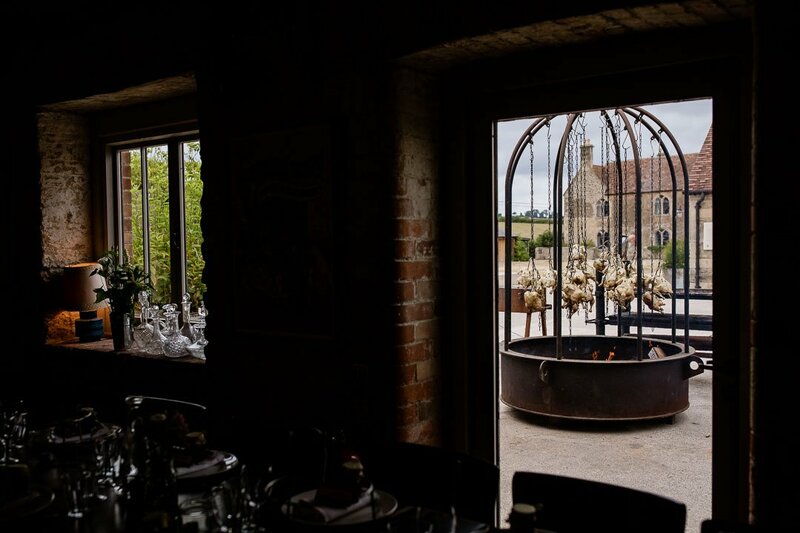 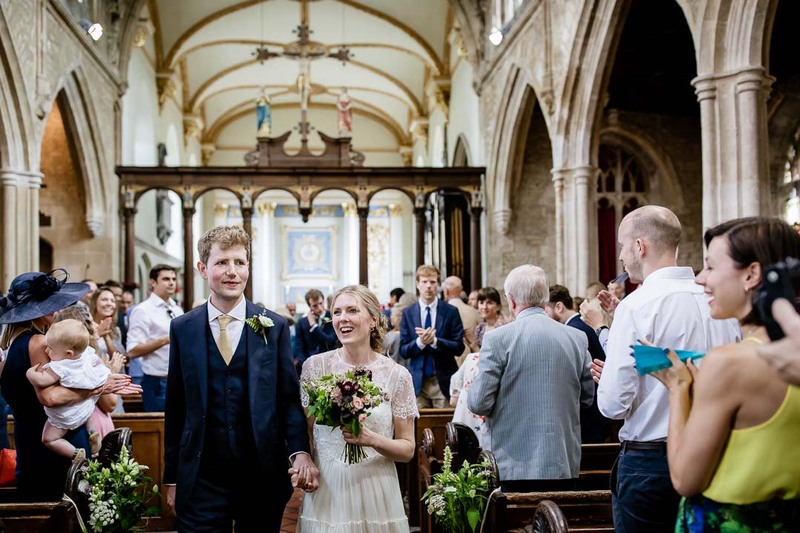 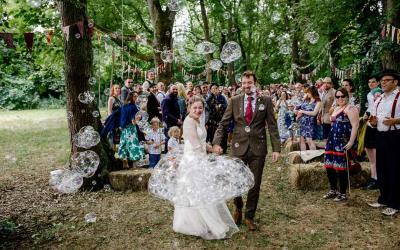 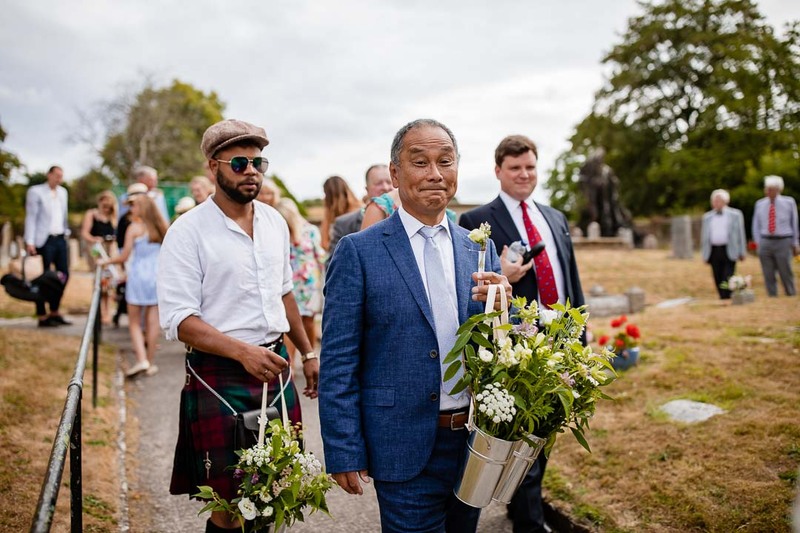 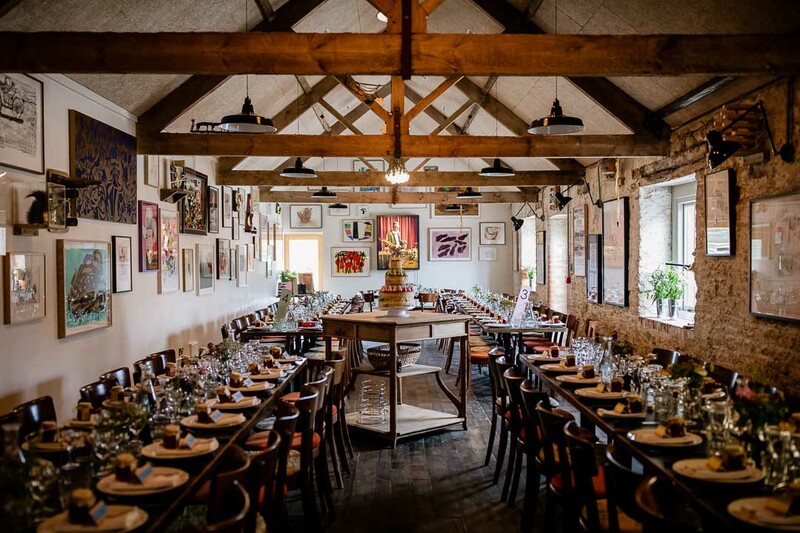 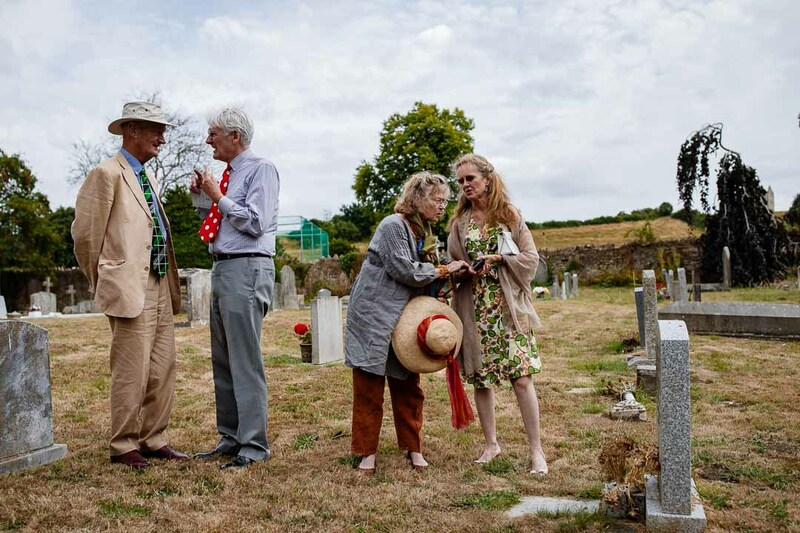 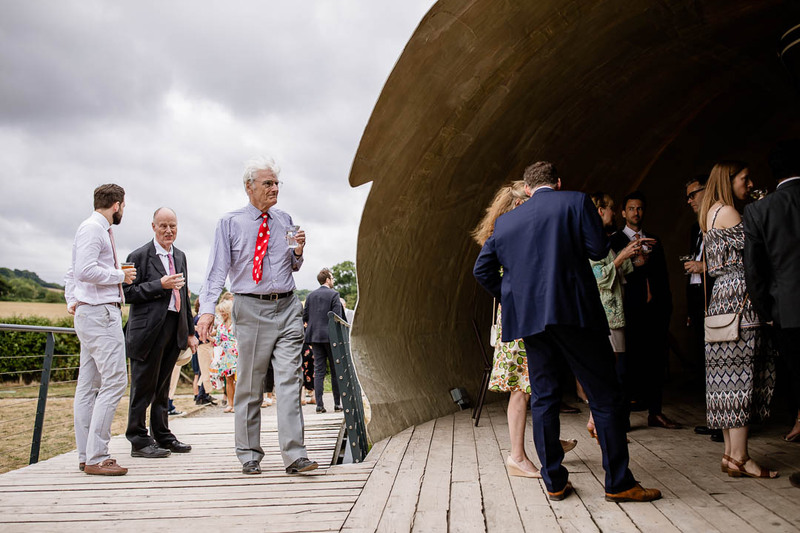 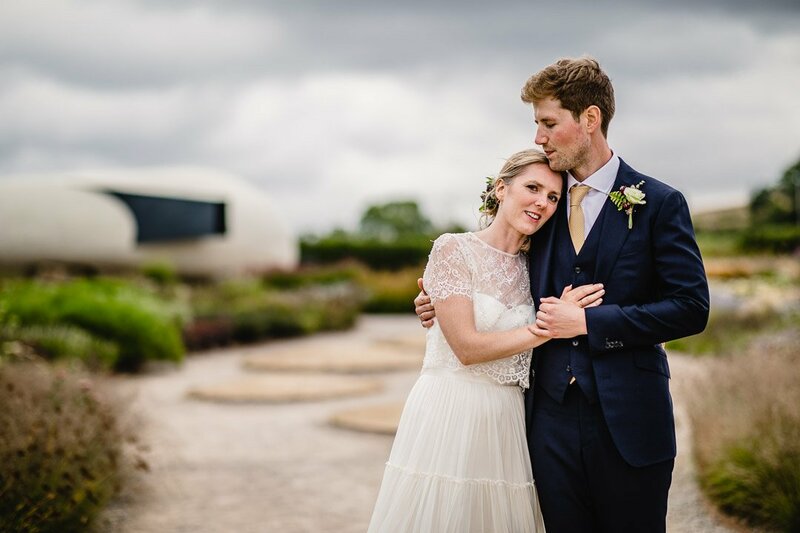 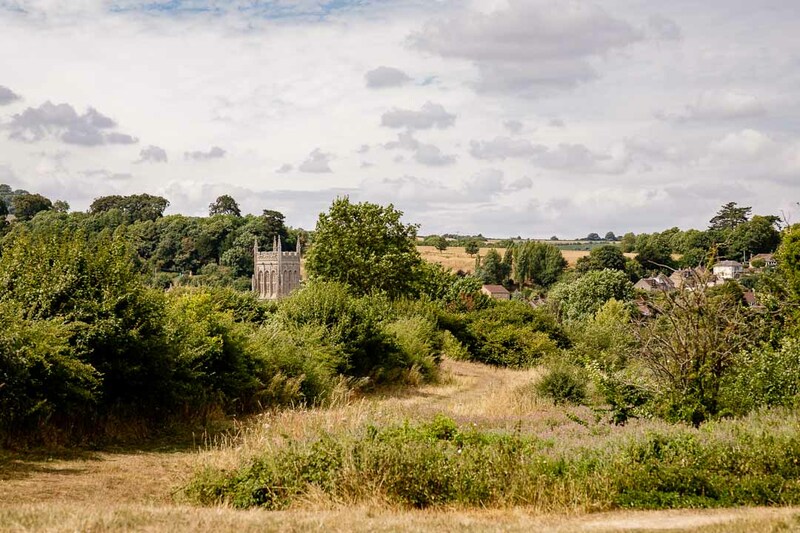 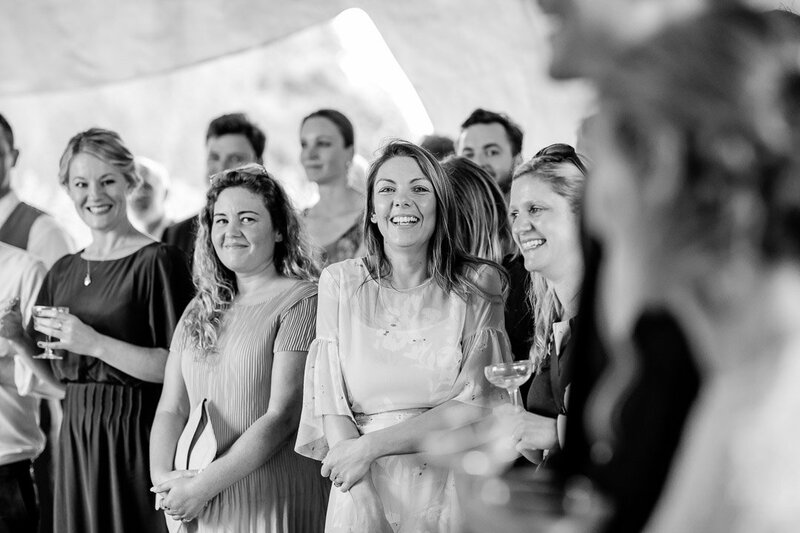 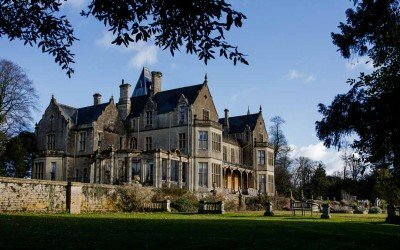 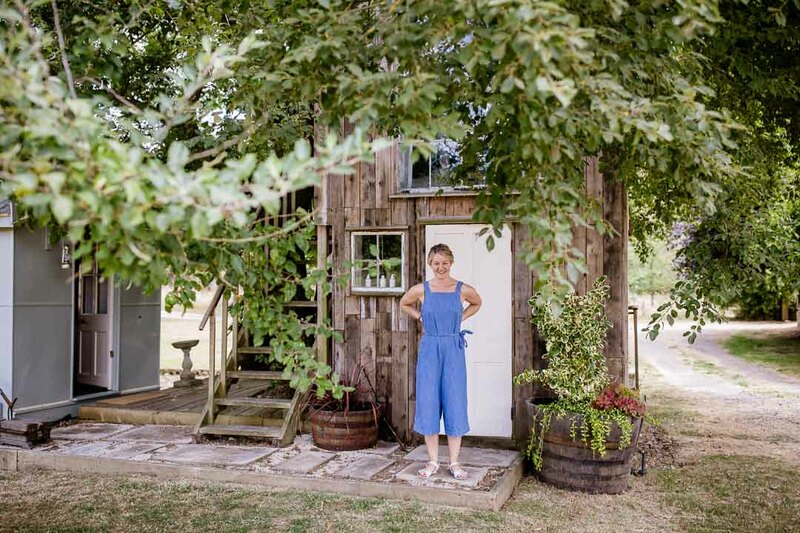 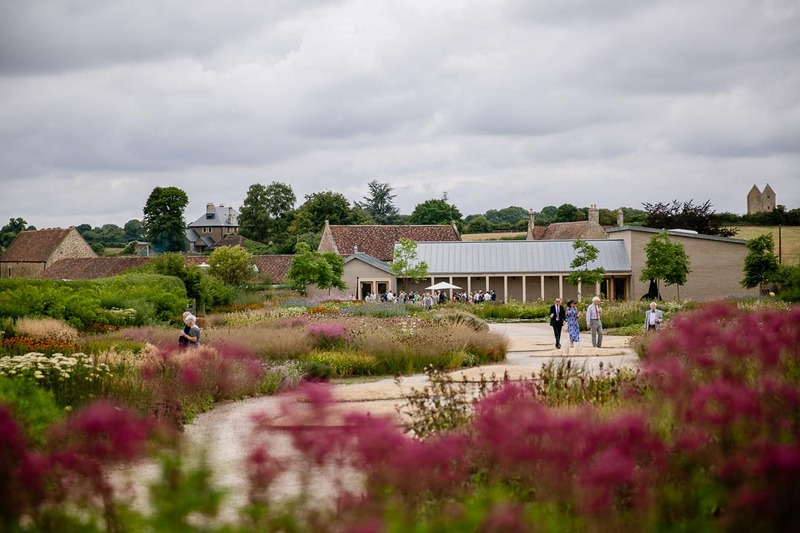 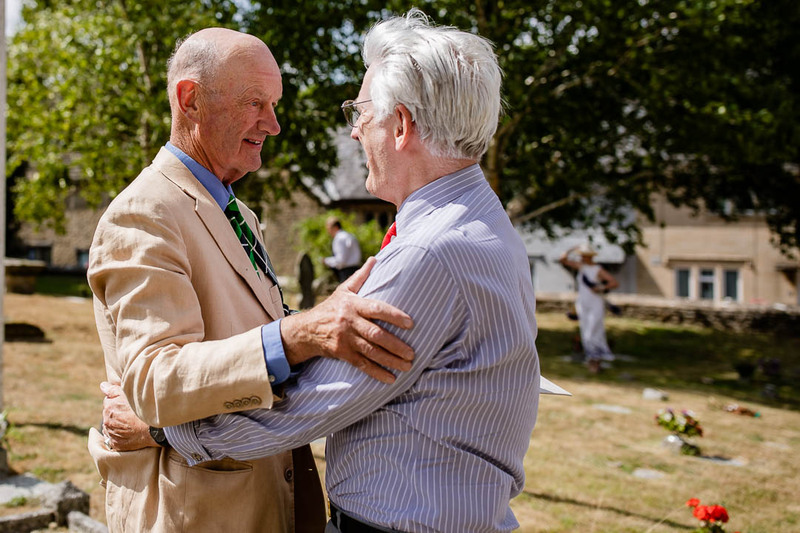 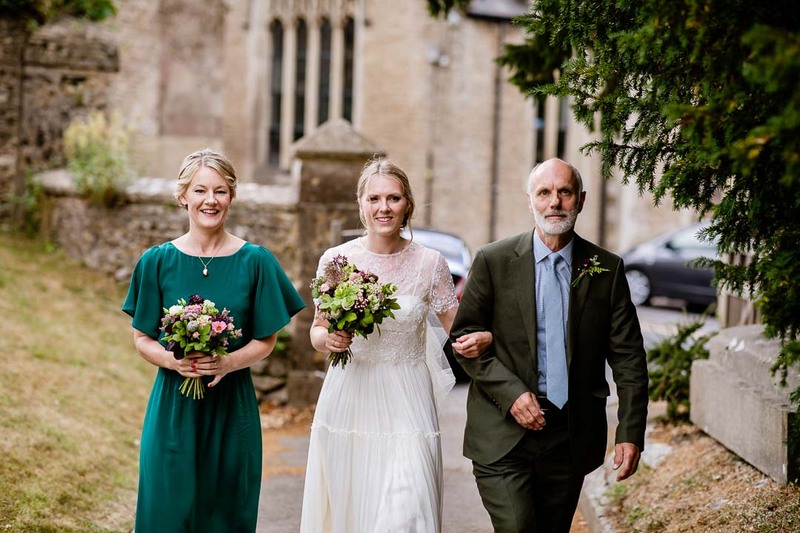 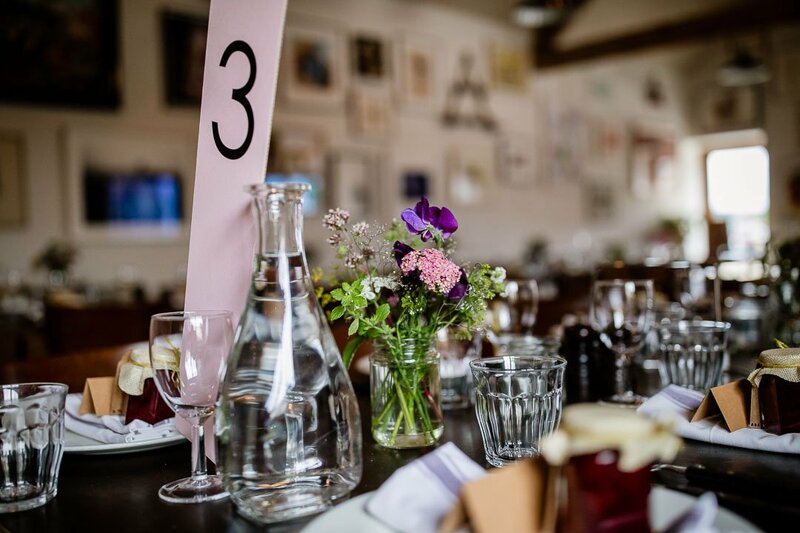 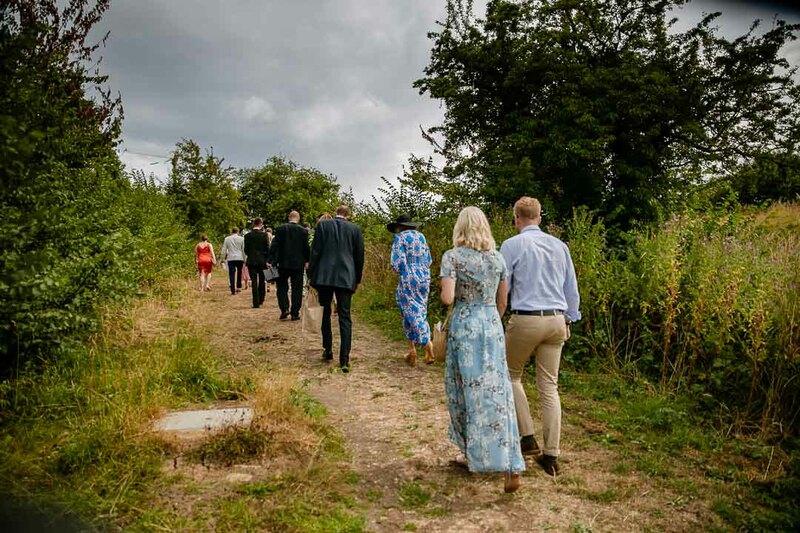 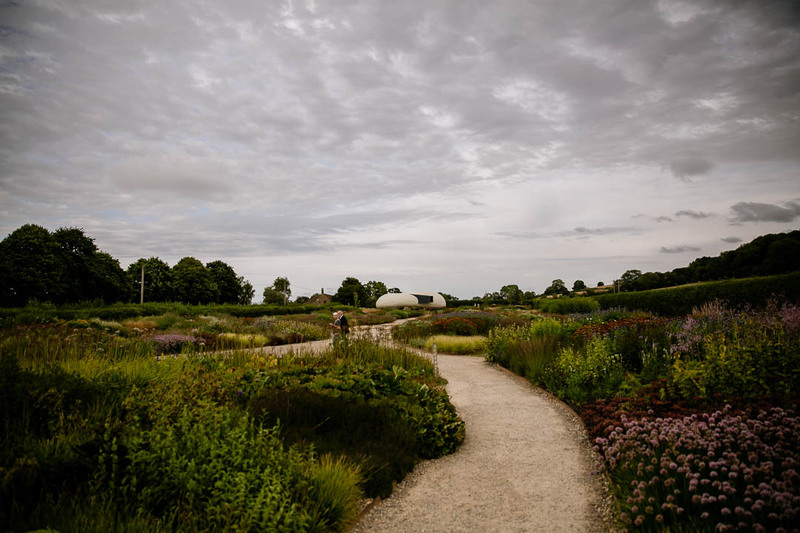 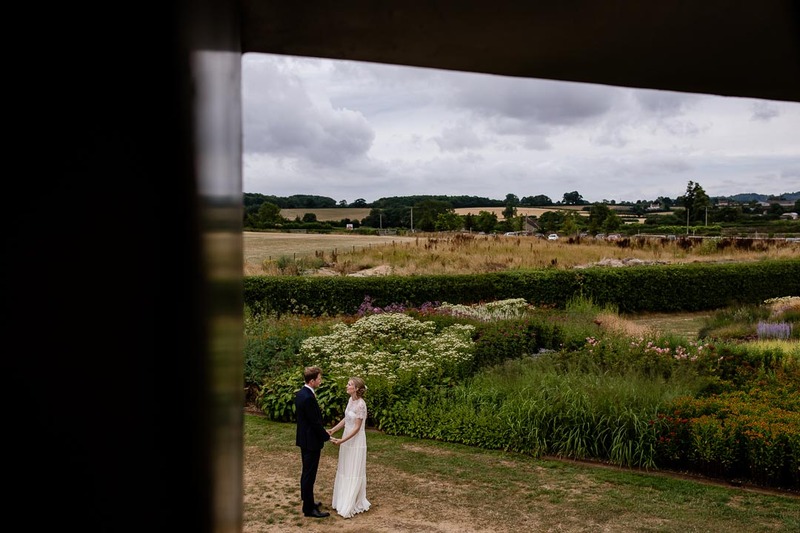 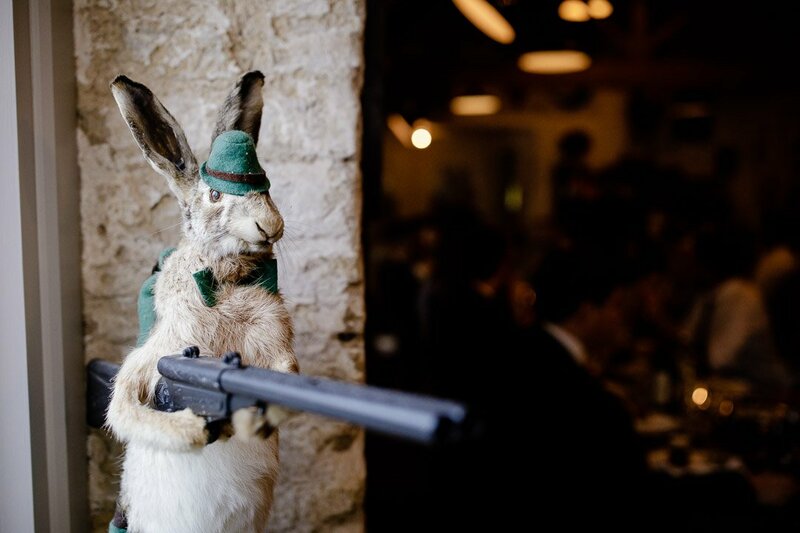 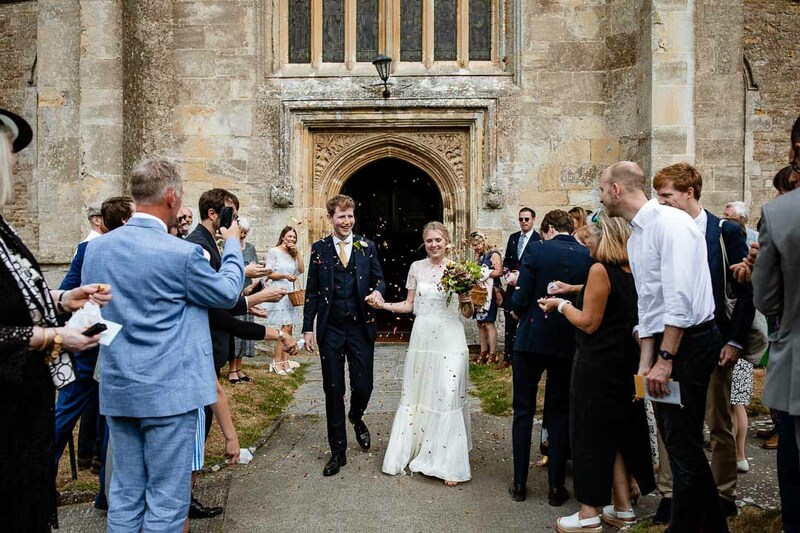 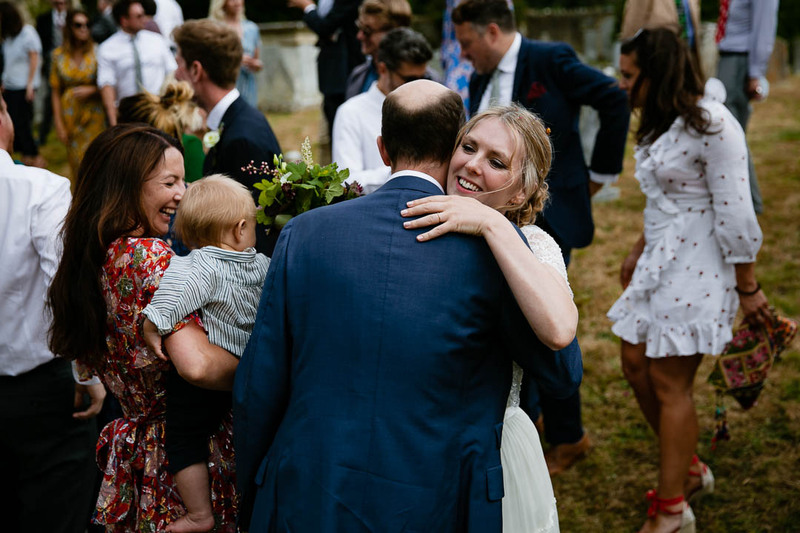 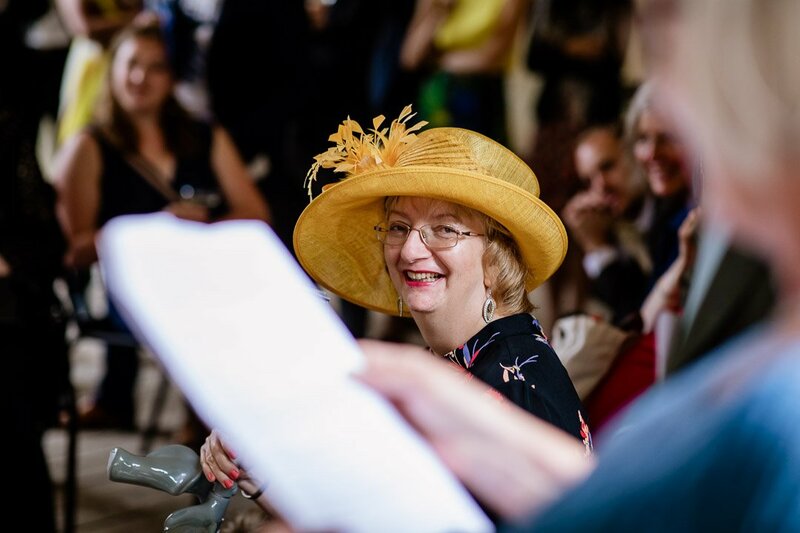 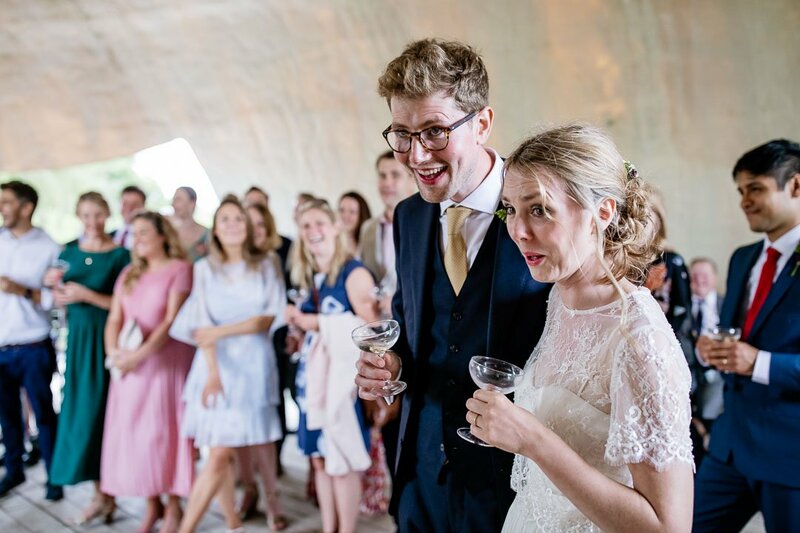 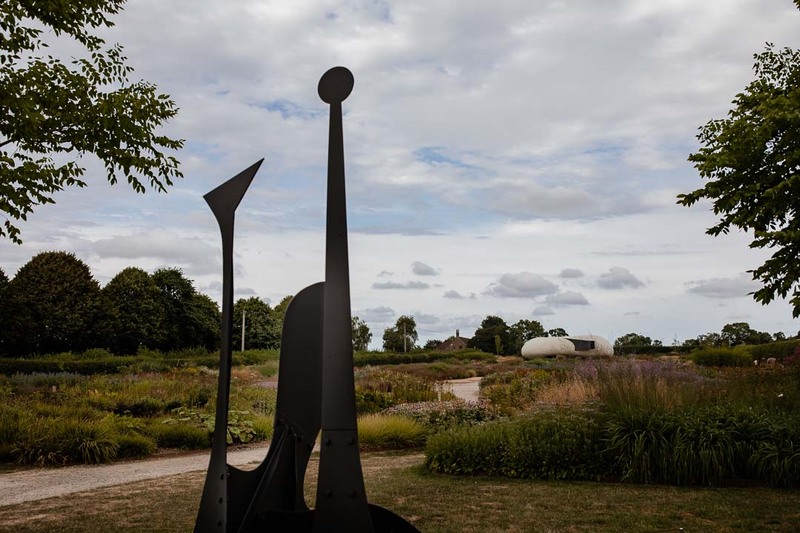 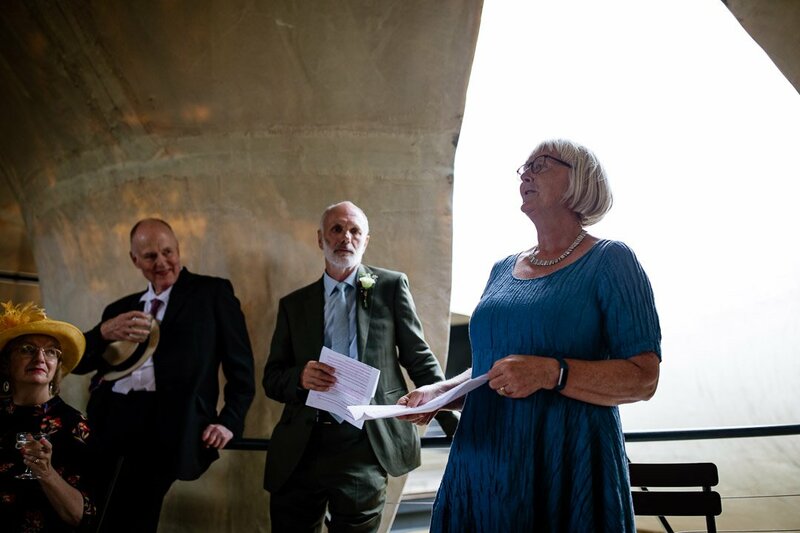 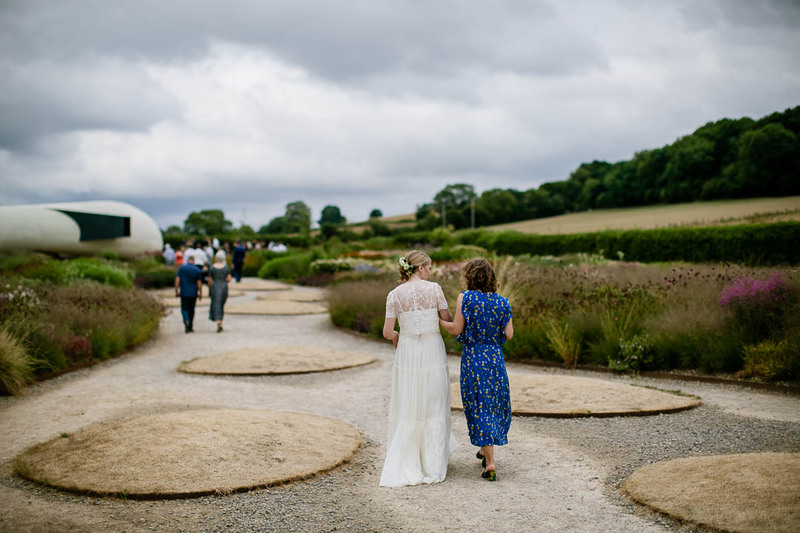 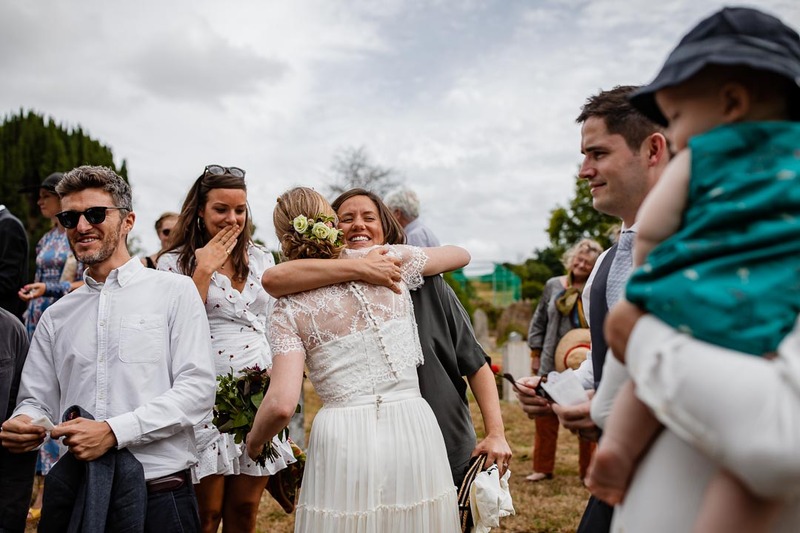 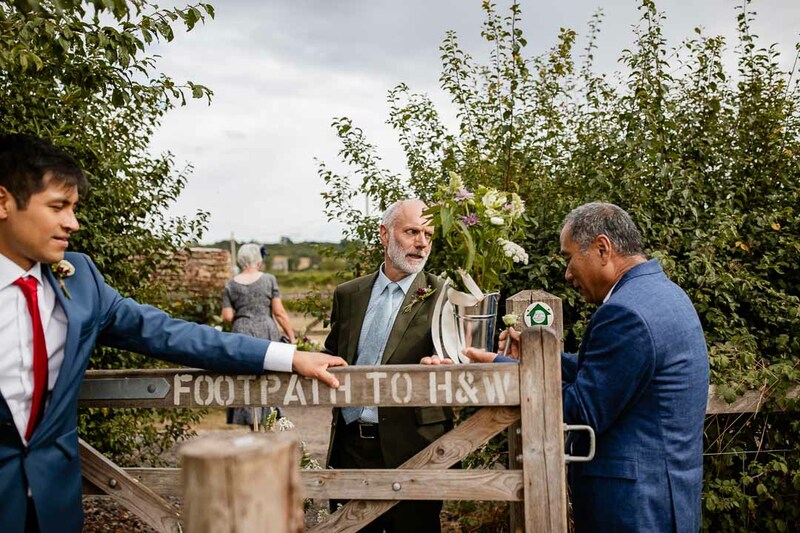 Cat and Ed’s Hauser & Wirthwedding in Bruton, Somerset was a lovely mix of old and new – and there was some blue, and probably some borrowed things too. 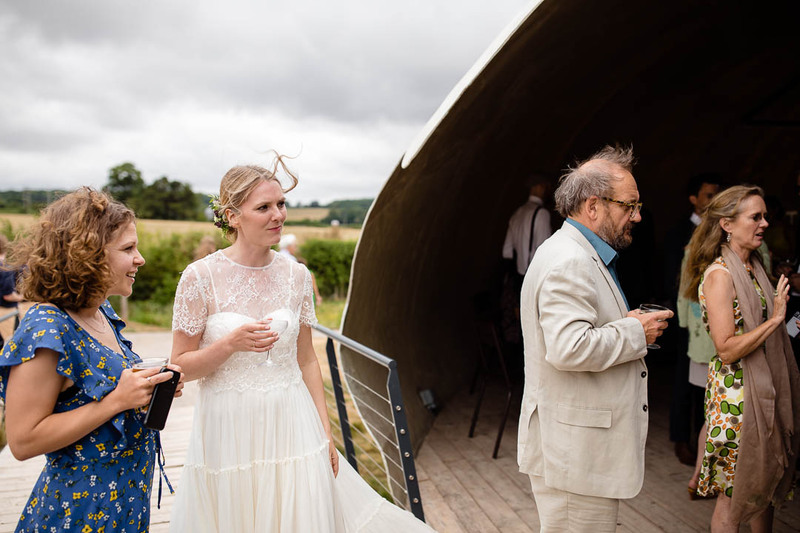 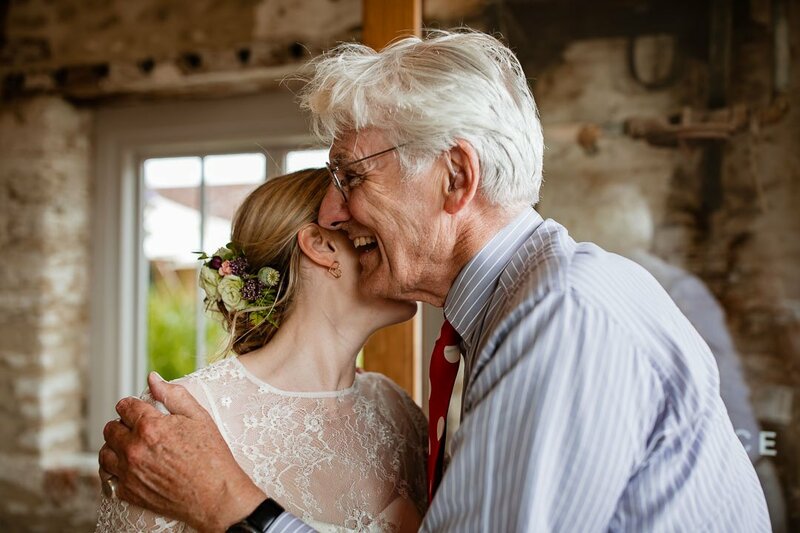 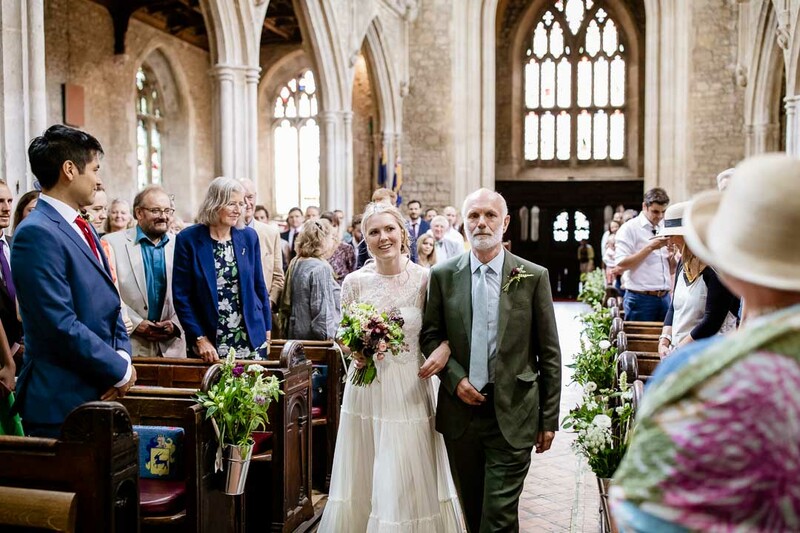 For this summer wedding, I was joined by my even taller daughter Alice, who is a budding photographer and photography student. 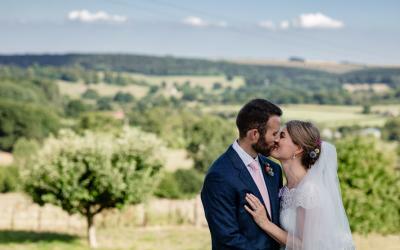 She came along to get some extra shots, and will be joining me on some larger weddings in the future too. 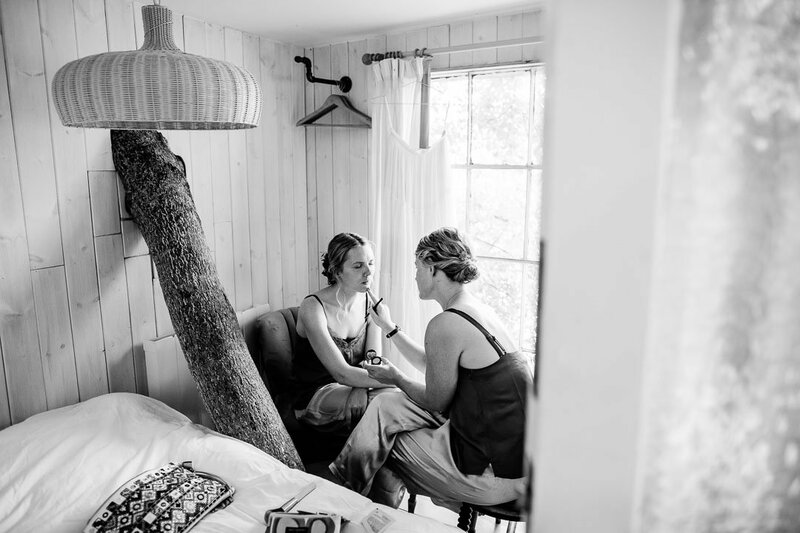 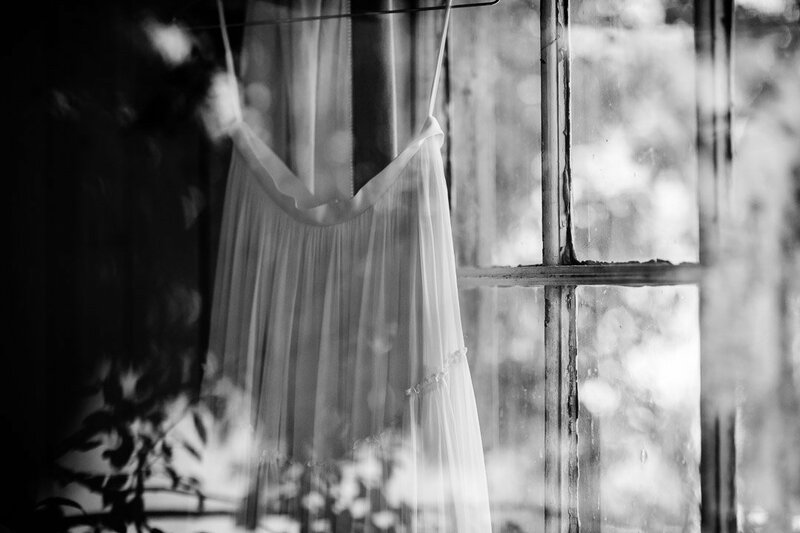 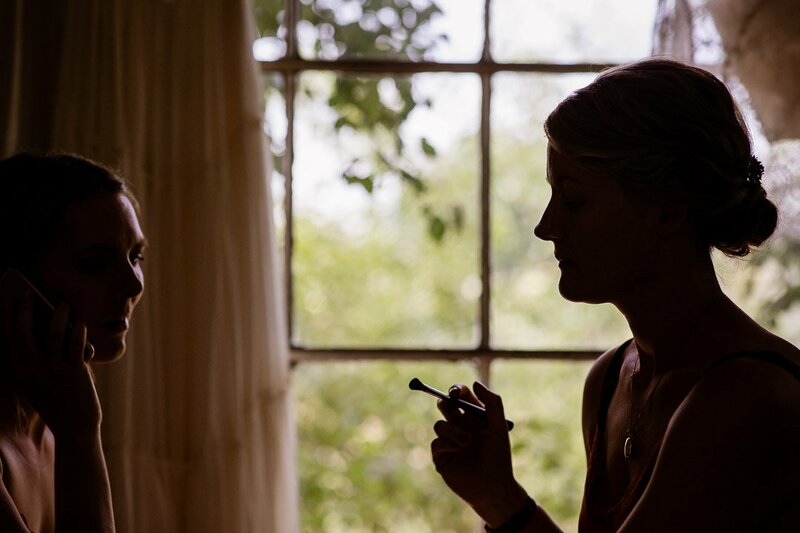 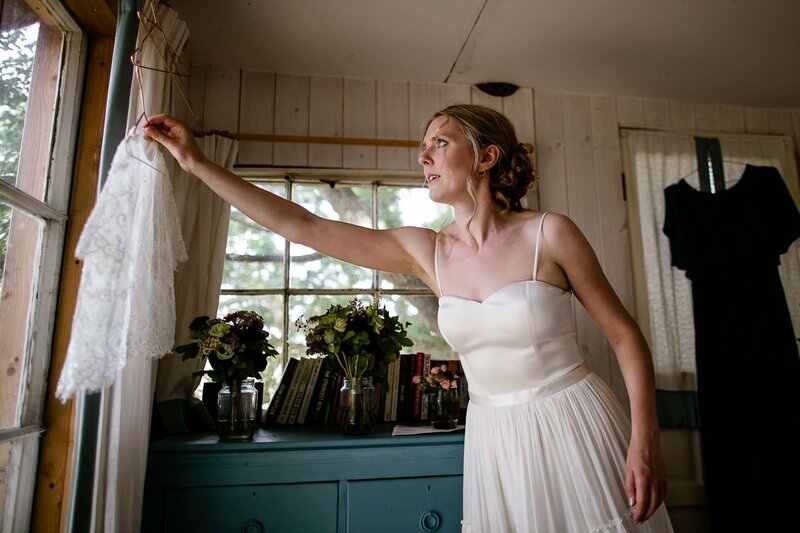 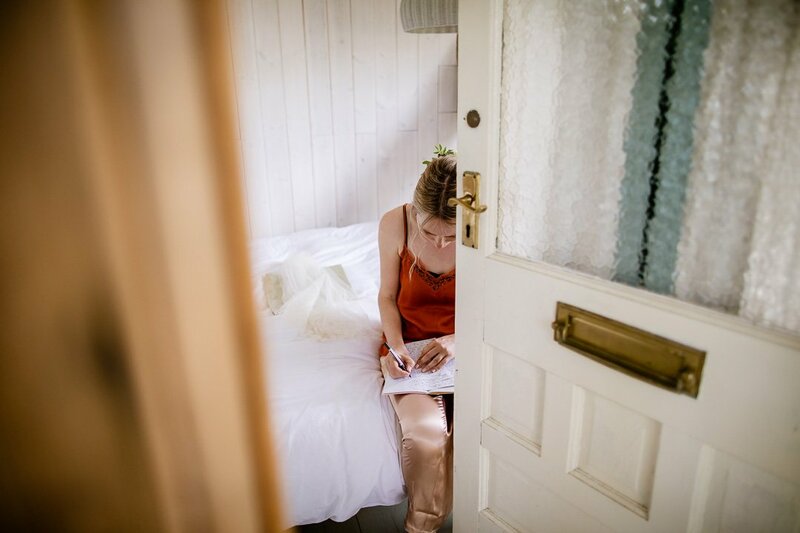 We started this hot day with Cat and her maid of honour in their cute and quirky getting-ready venue – a treehouse! 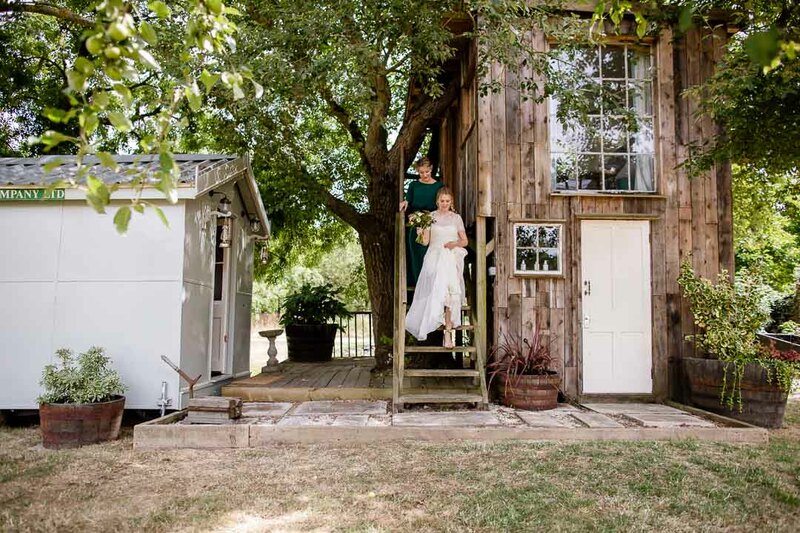 Although it was built around a tree, this is a much more comfortable treehouse than you might imagine. 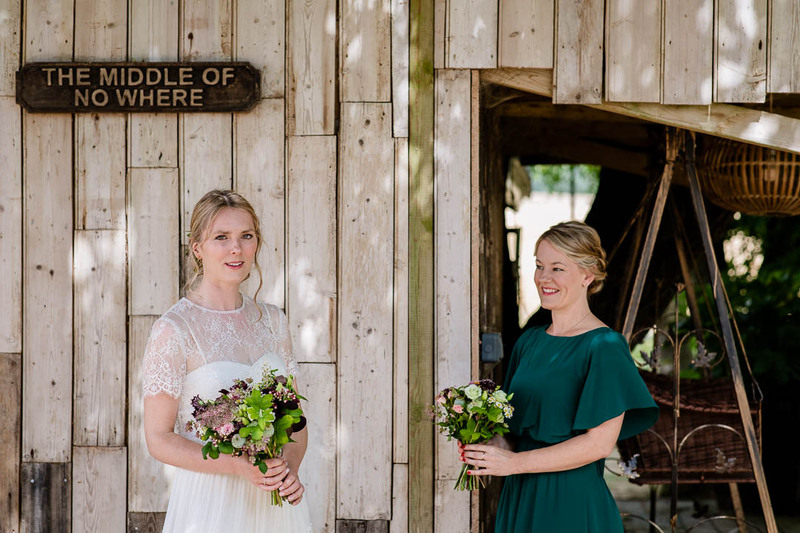 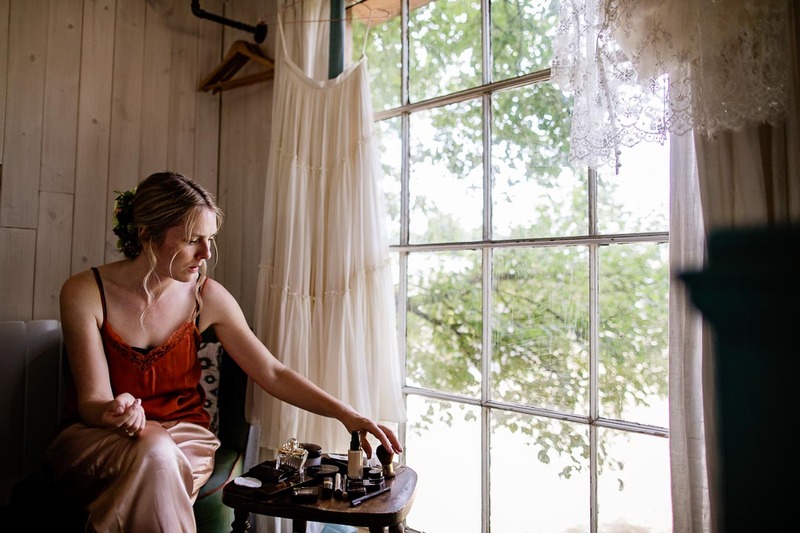 The bright space was perfect for starting the day, while Cat’s maid of honour did their make-up and they both got dressed, followed by some photos in front of the treehouse. 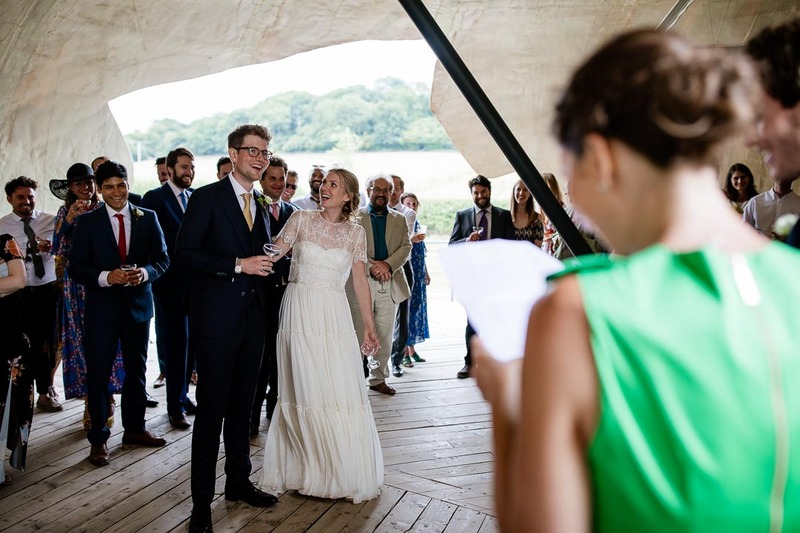 Cat’s beautiful “dress” was a skirt, bodice and lace top from Catherine Deane, while the maid of honour wore an emerald dress by a French company, Sezanne. 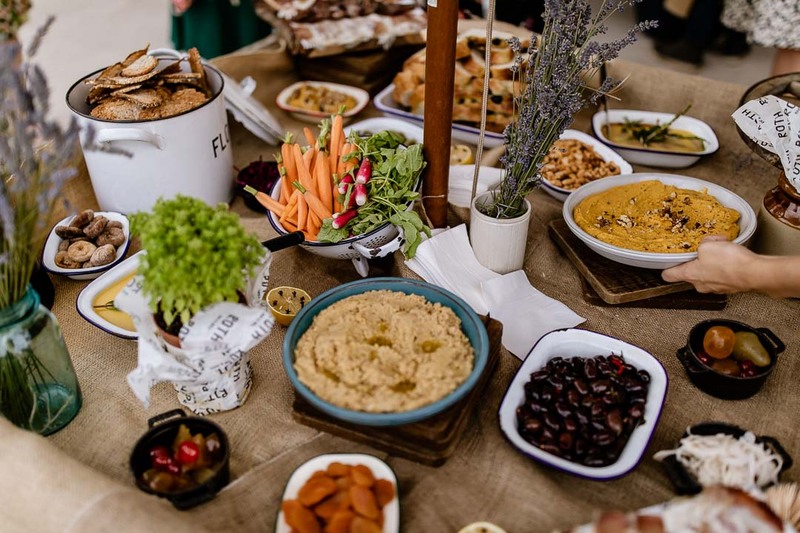 Vendors for this wedding came from around the country and even beyond. 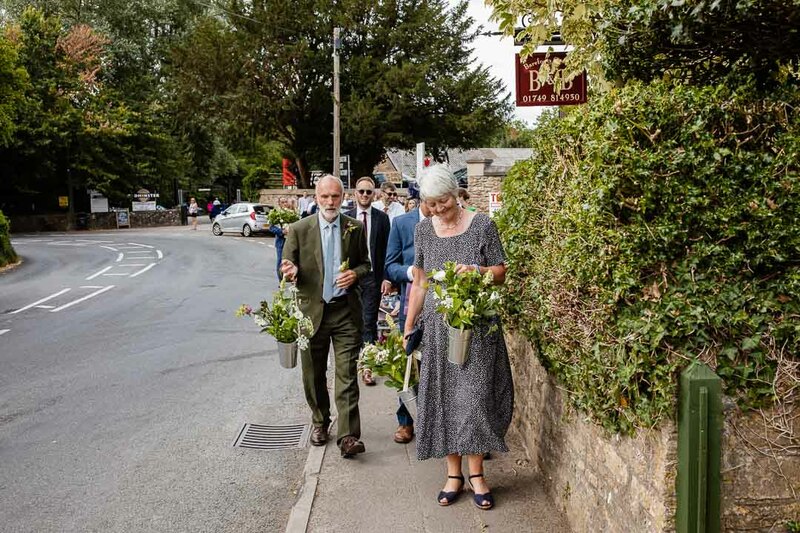 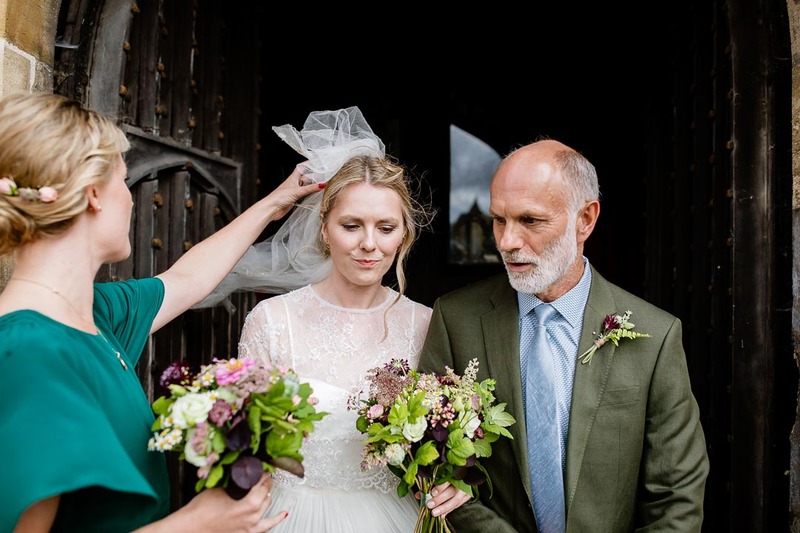 This was demonstrated perfectly by the bouquets, buttonholes and the flower display at the front of the church by Mells Walled Garden in Somerset, and the rest of the flowers driven all the way from Northumberland by Cat’s mum! 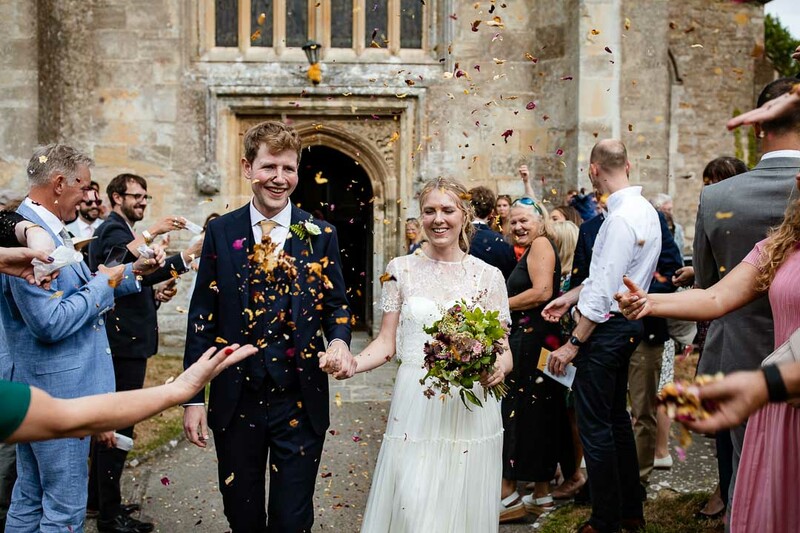 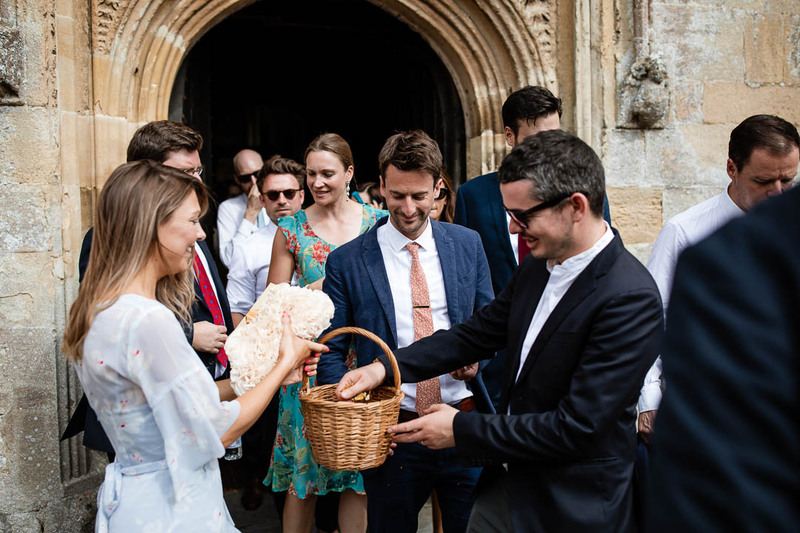 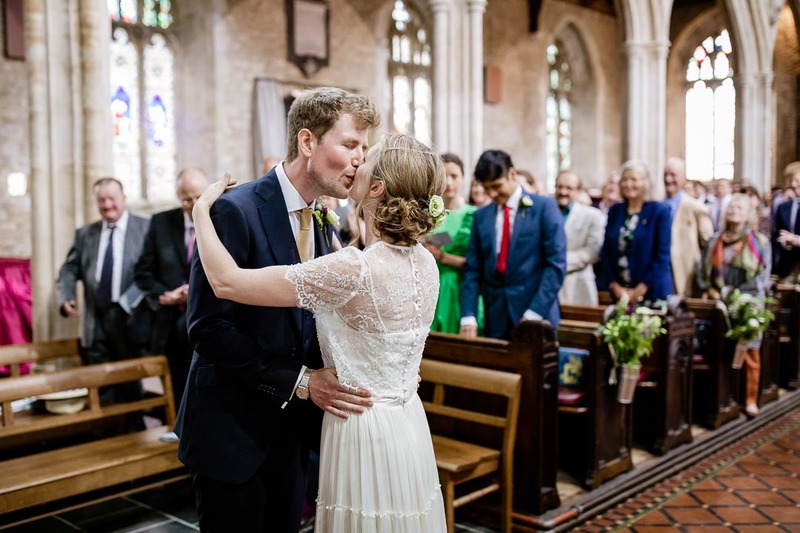 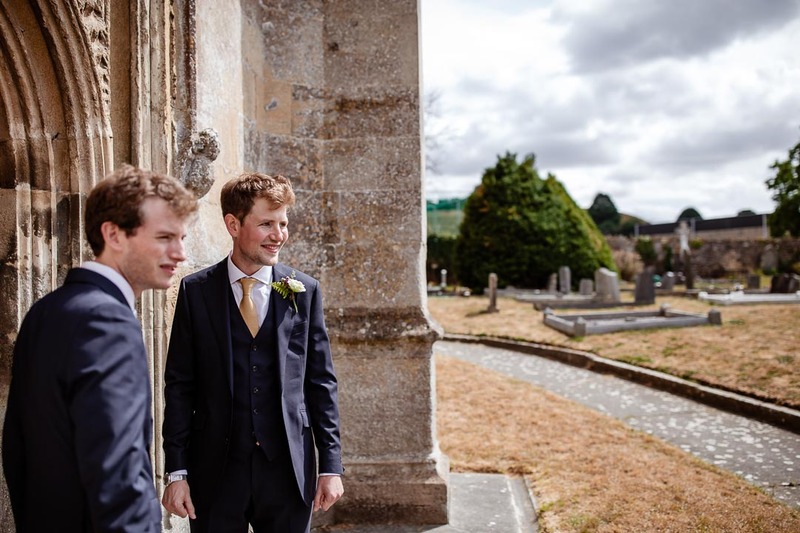 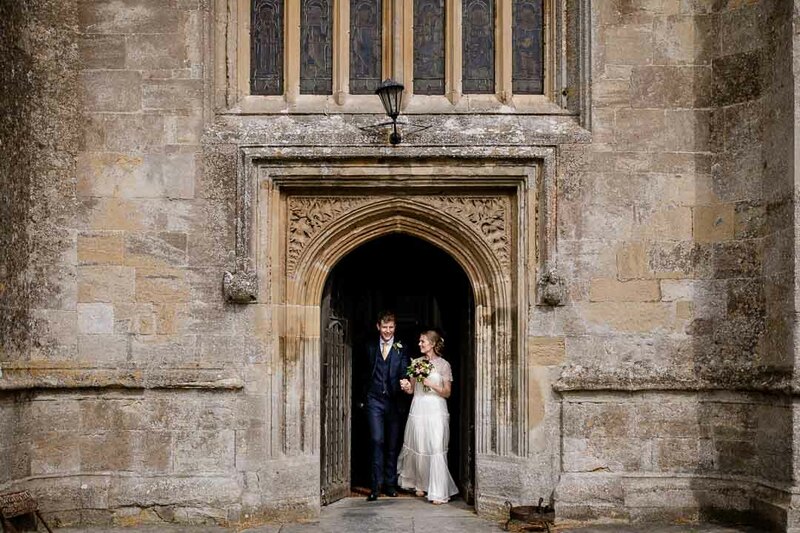 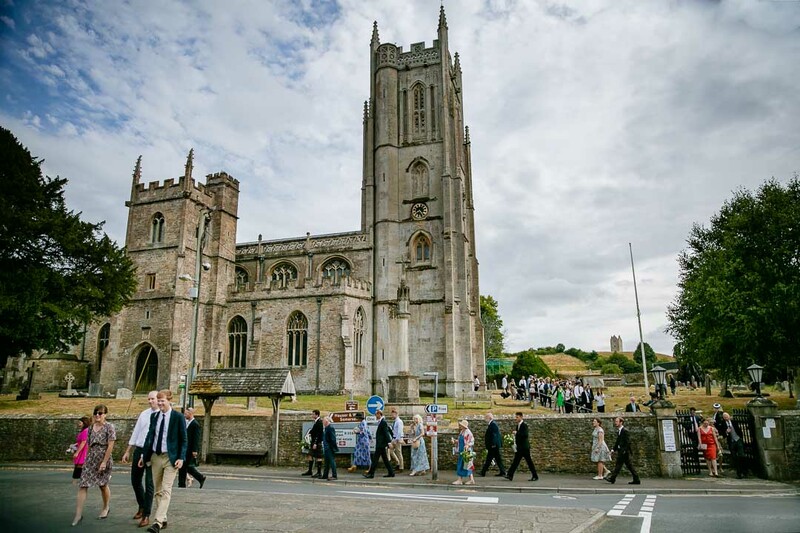 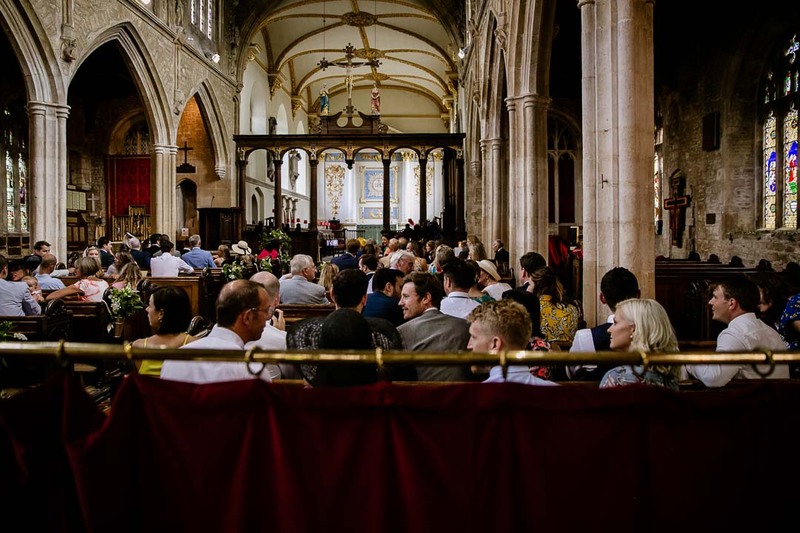 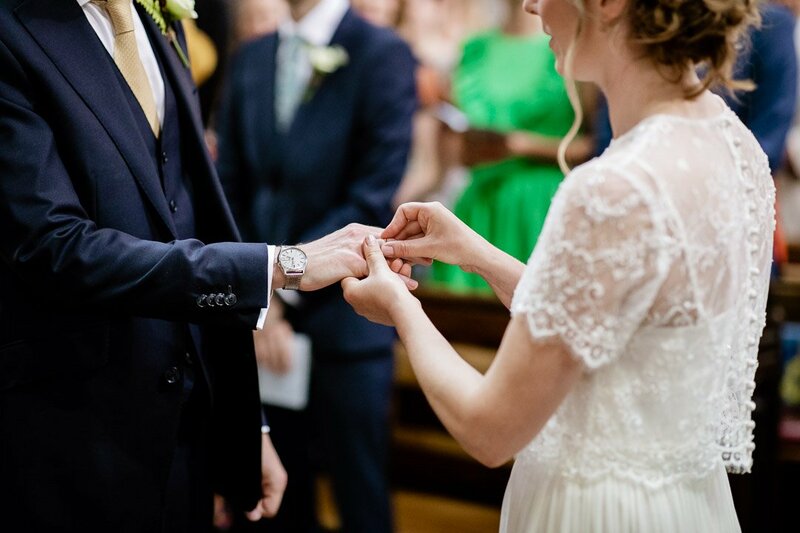 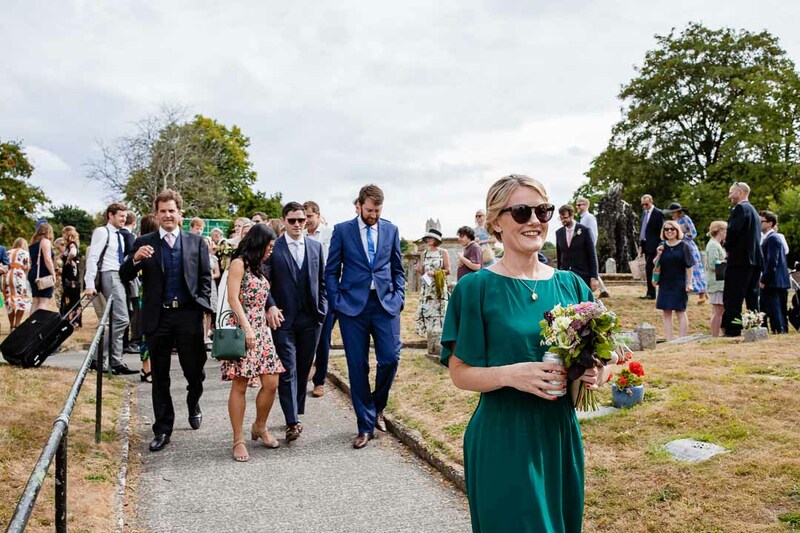 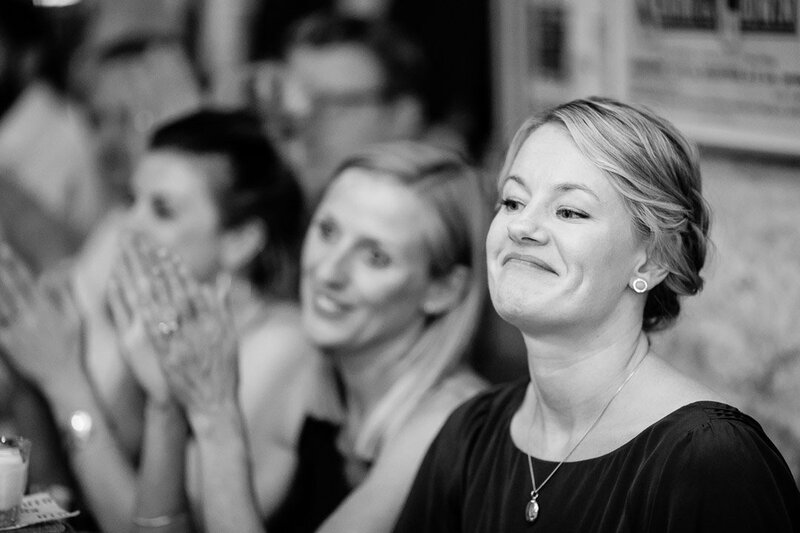 The traditional ceremony was in the local Church of St Mary in Bruton, where I had the chance to begin capturing some shots of the guests – and, of course, the groom! 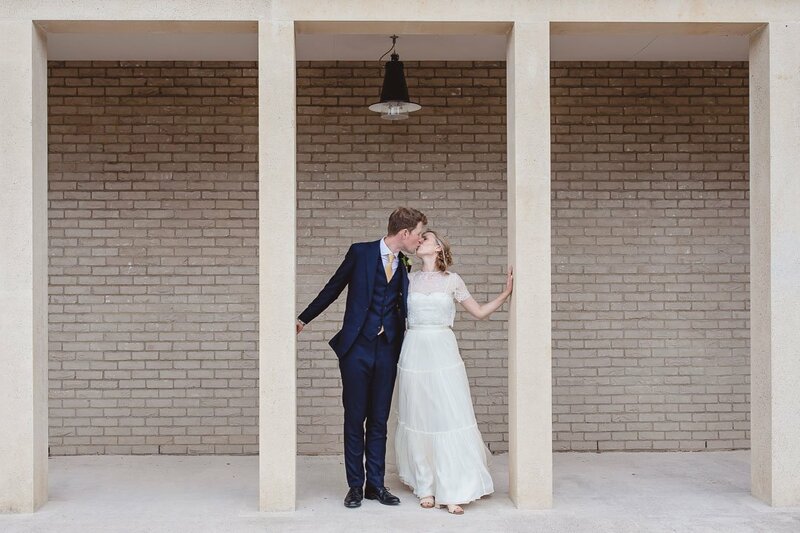 After the happy couple exchange their vows, we had some family photos outside before moving on to the reception. 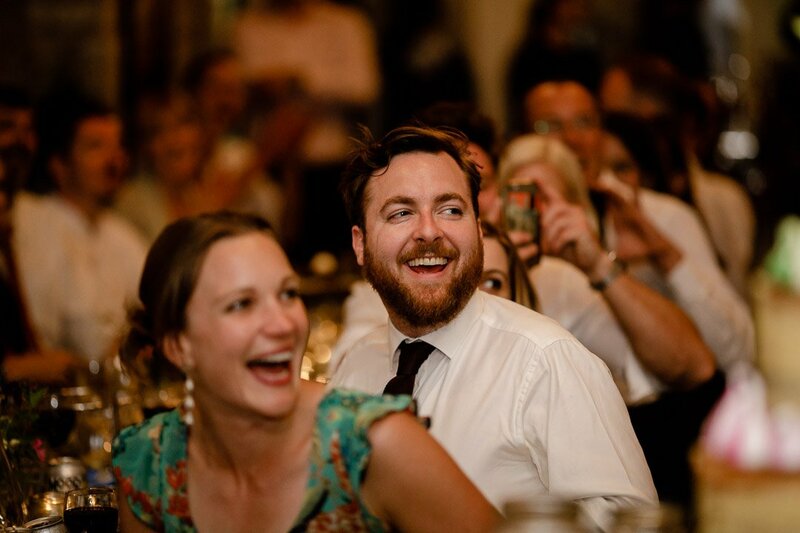 This slideshow is just fantastic. 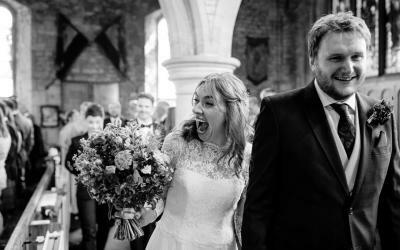 You have really captured the day! 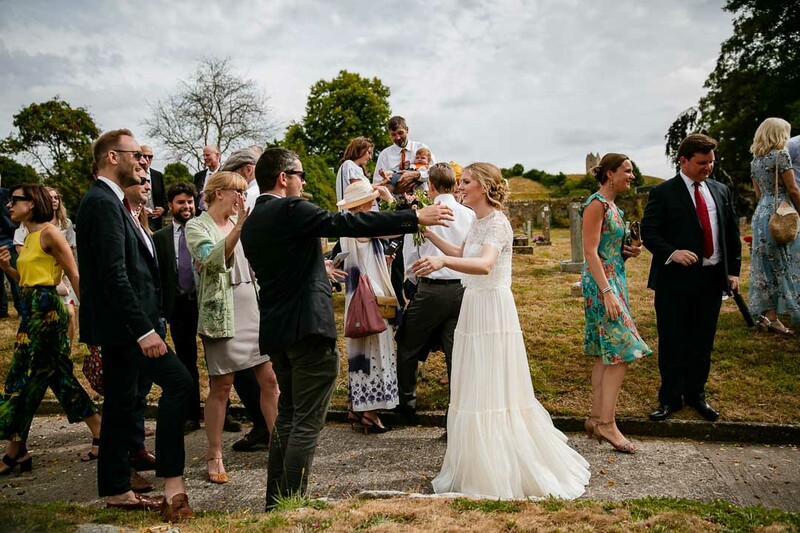 So exciting to see it especially as we couldn’t be everywhere at once and it’s lovely to see other moments going on. 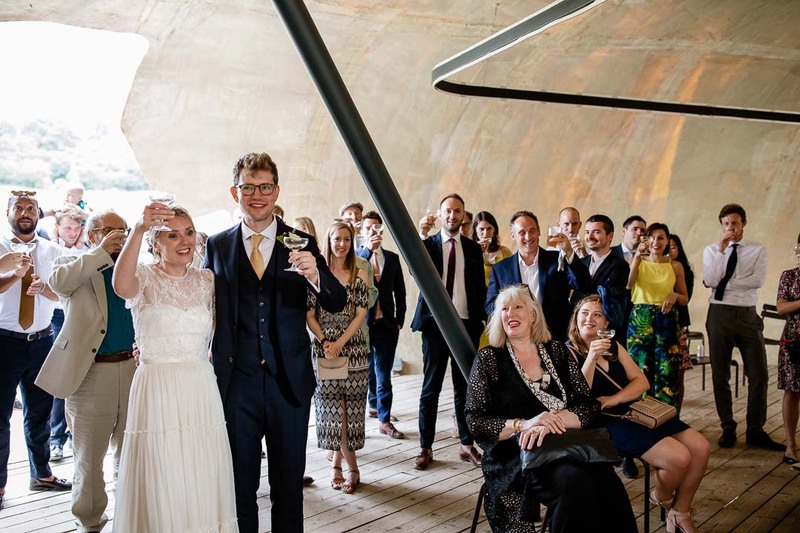 The ceremony might have taken place in a traditional venue, but the reception was somewhere much more contemporary. 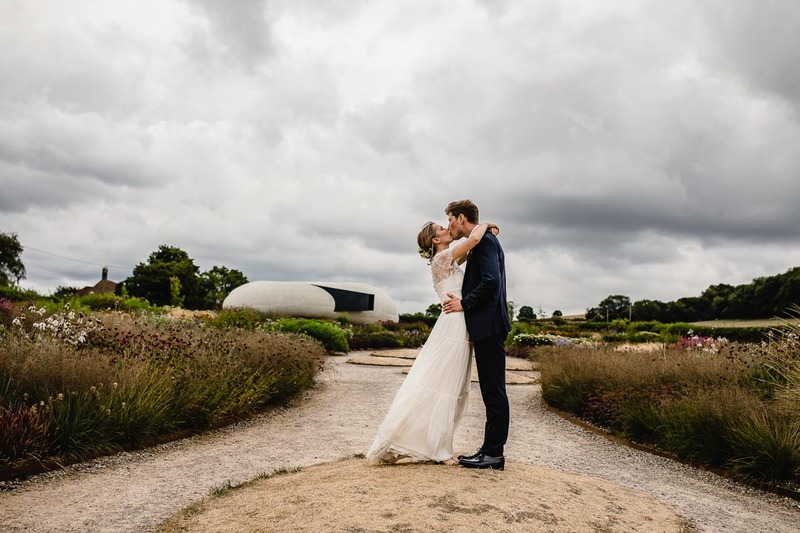 Cat and Ed wanted somewhere unique and striking, and they certainly succeeded with the Hauser & Wirth Gallery. 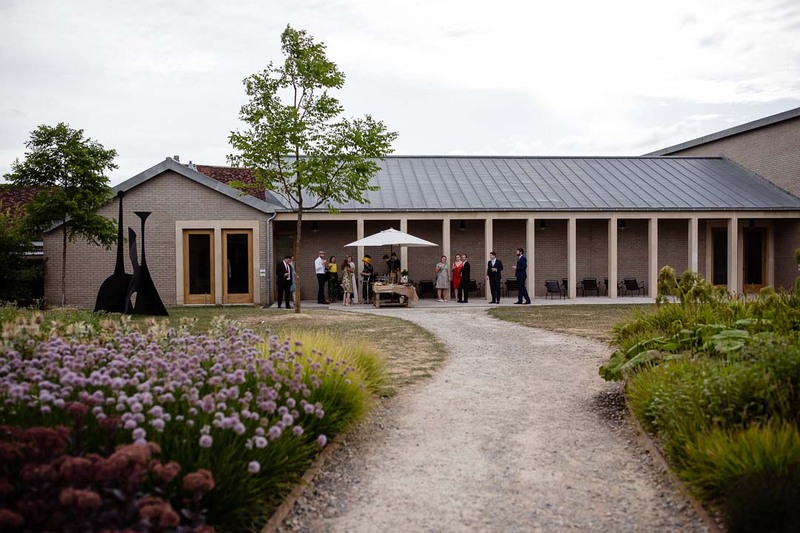 The Roth Bar & Grilltook care of the wedding organisation and catering, with the gallery loaning out their garden, pavilion and exhibition space. 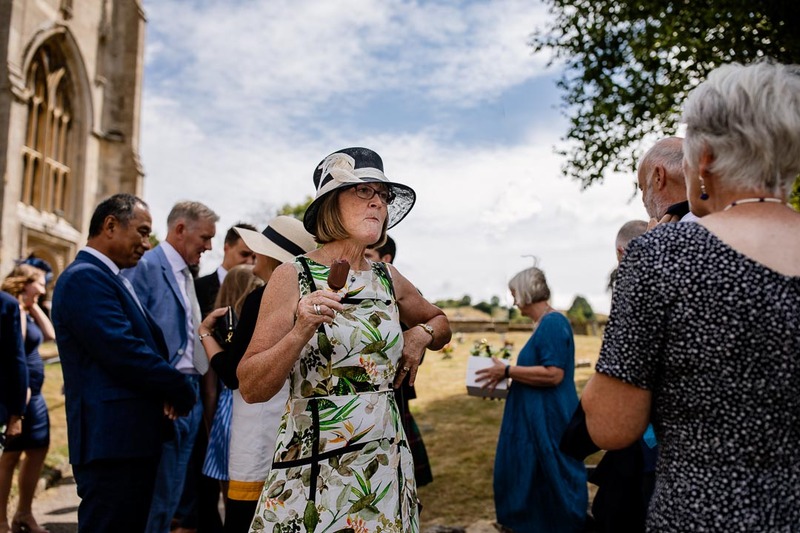 It was a short walk from the church, followed by champagne and canapés while the guests had a chance to admire the art in the gallery. 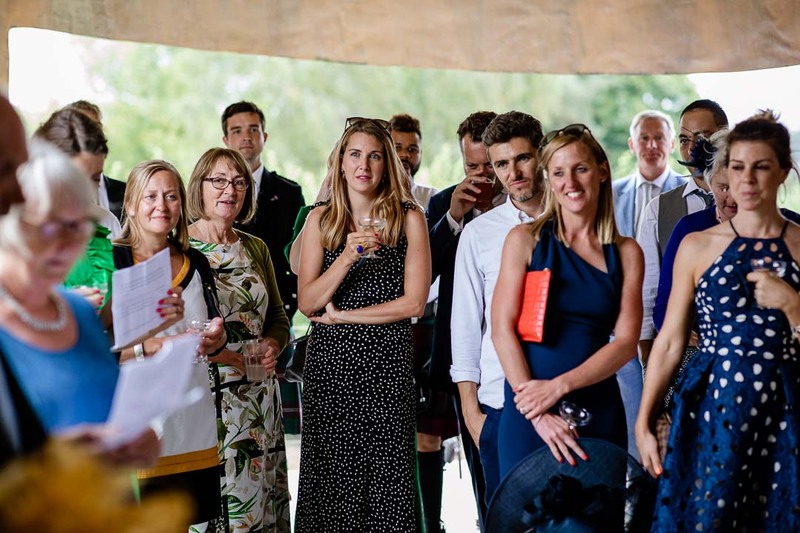 They also enjoyed the garden, before some rousing speeches in the modern pavilion from Ed’s twin brother and sister, and Cat’s parents. 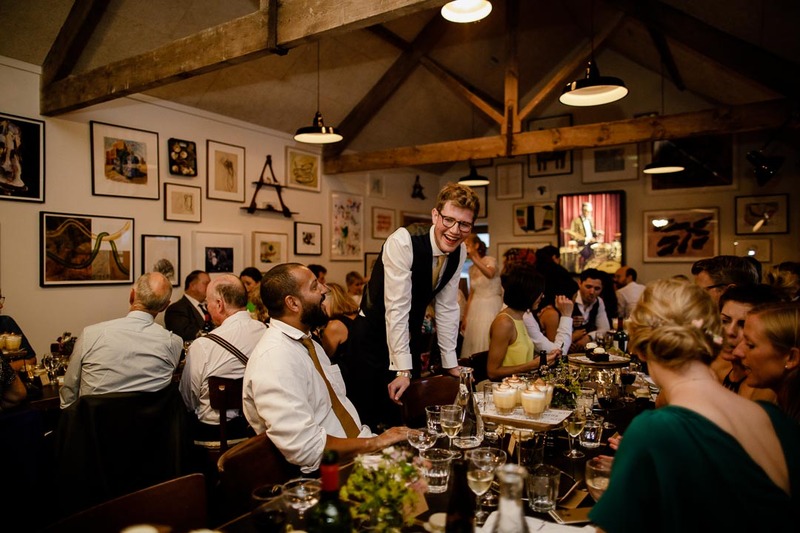 This cool space was a great place to gather before sitting down to eat. 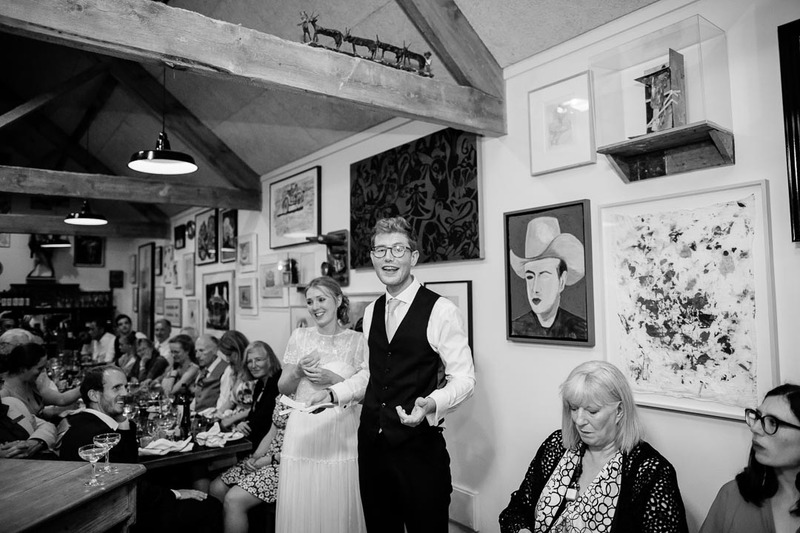 Everything about the gallery was very relaxed, which was fantastic for getting plenty of candid shots of everyone having fun. 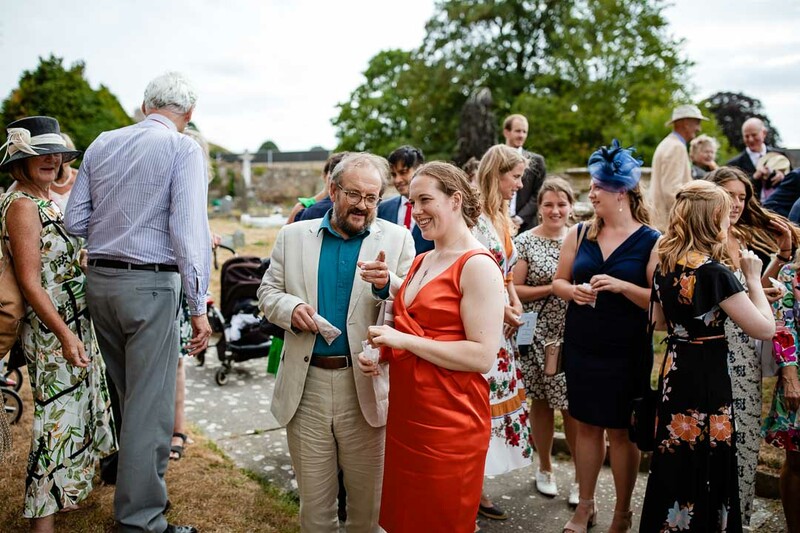 The garden was also fantastic for getting some large family shots. 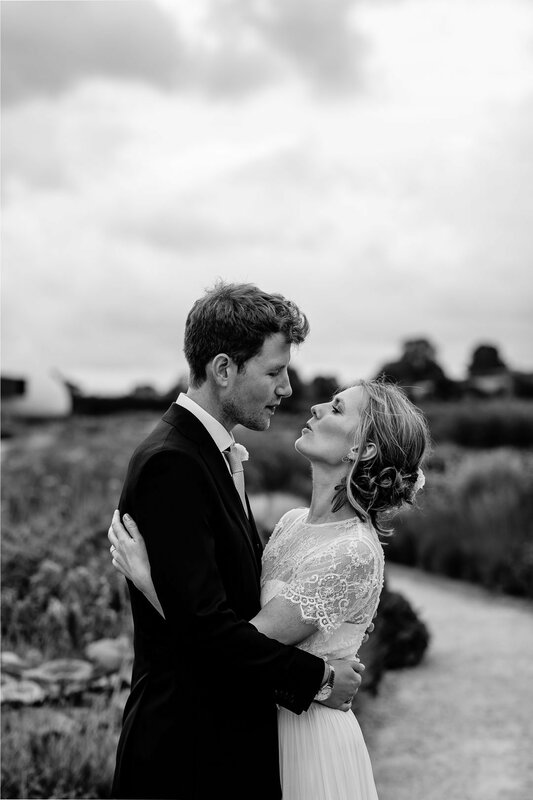 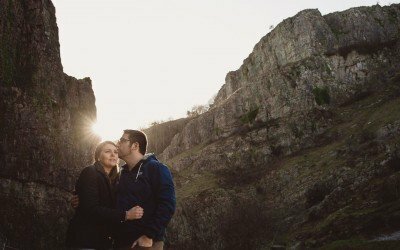 Then I snuck Ed and Cat off on their own for some slightly overcast but still picturesque photos before dinner. 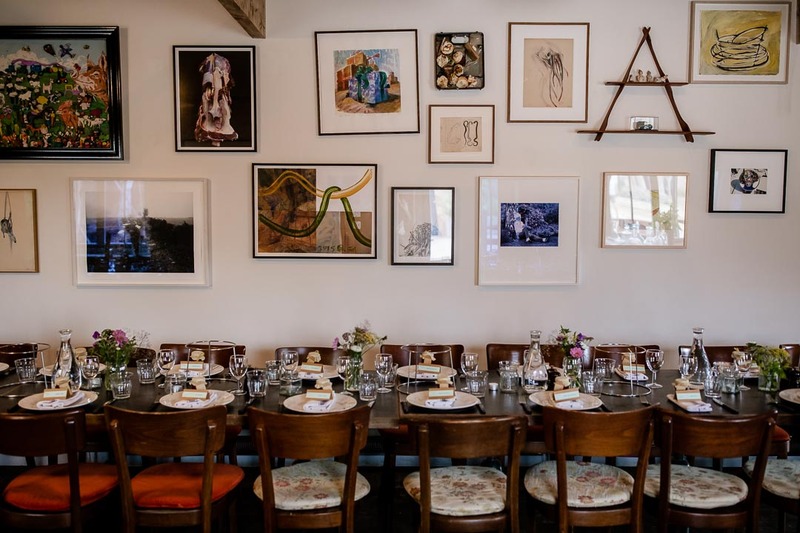 The Roth Bar & Grill provided the food and dining space – an intimate space with plenty of art on the walls, and long tables. 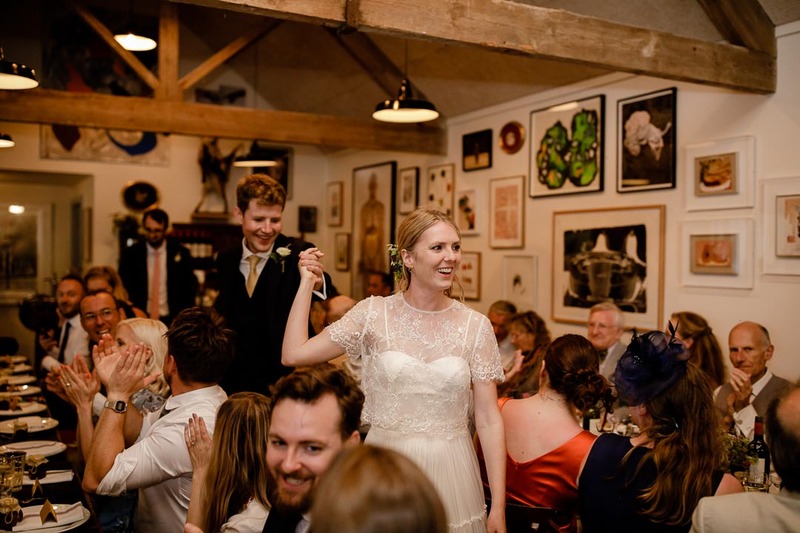 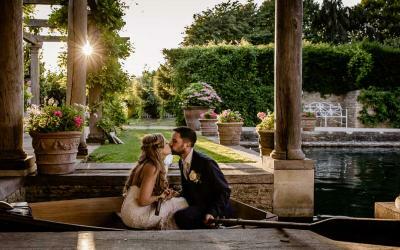 It made from some cosy but lively photos, with everyone squeezed into such an intimate space. 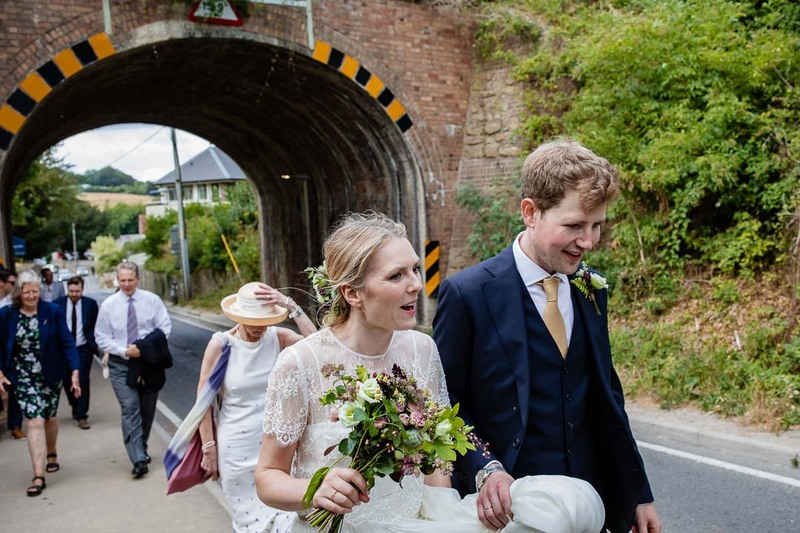 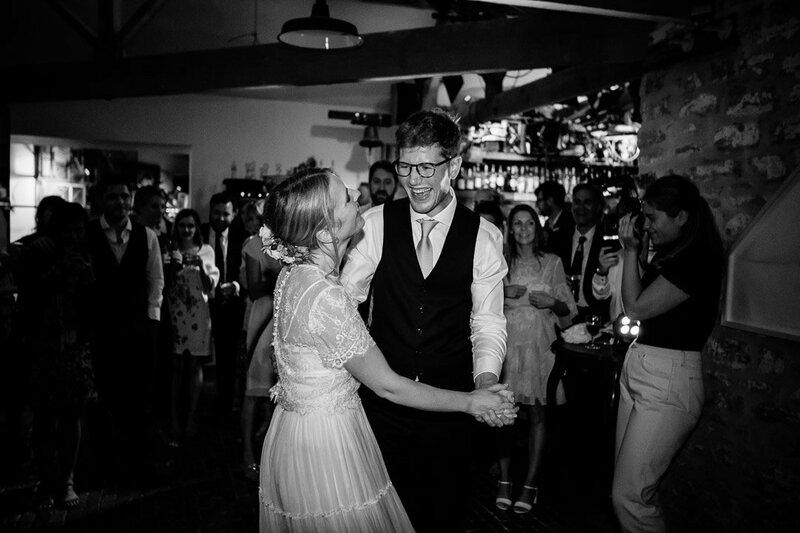 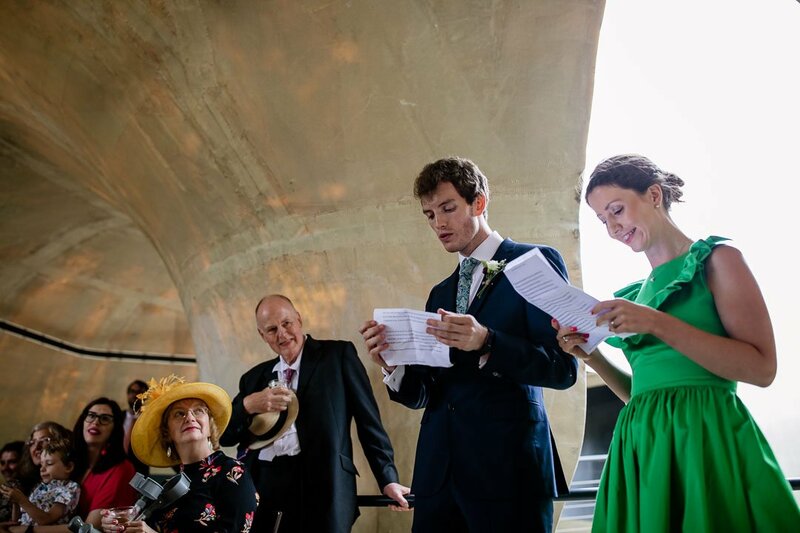 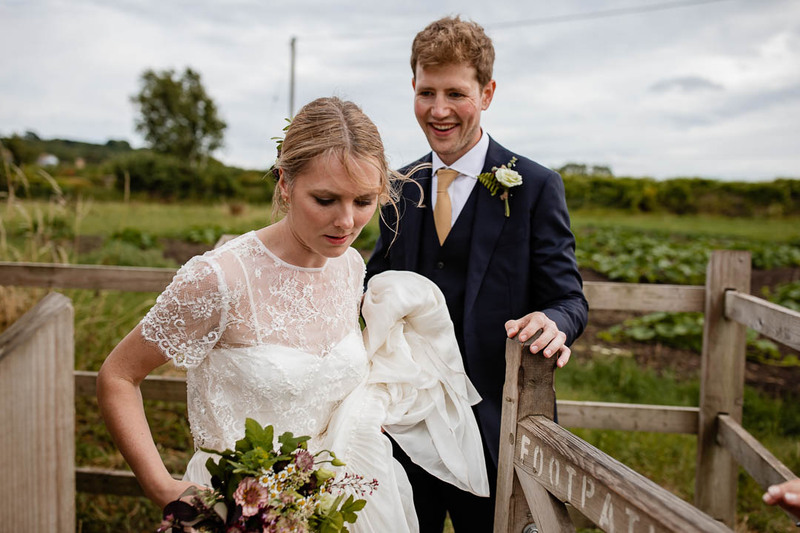 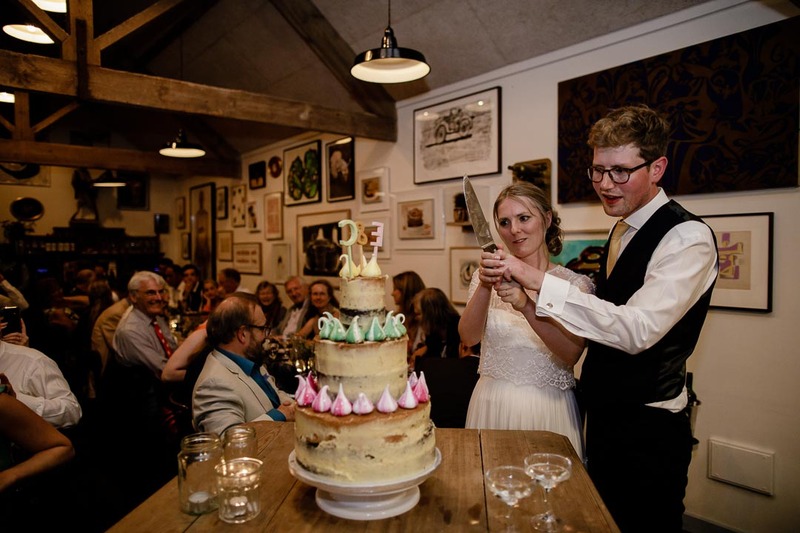 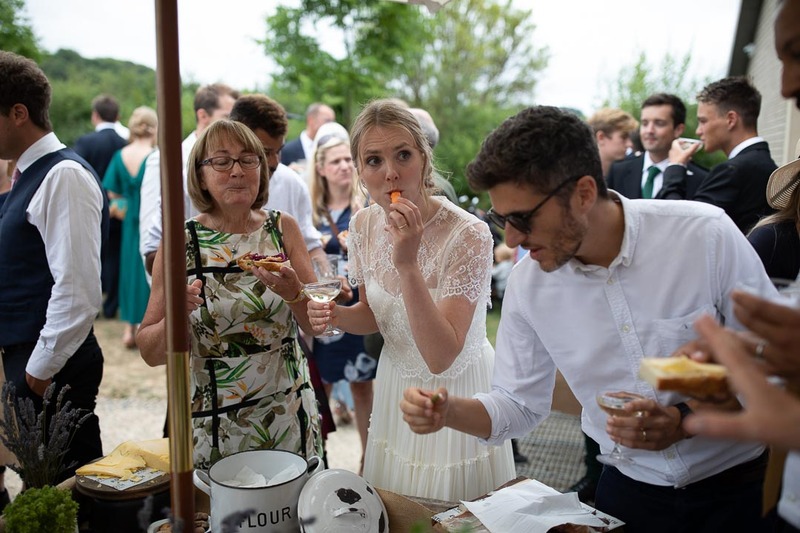 Ed and Cat gave a speech before cutting their cake – a partial DIY job, craftily put together with two cakes from Waitrose, some butter icing and colourful meringue kisses from Meringue Girls in East London. 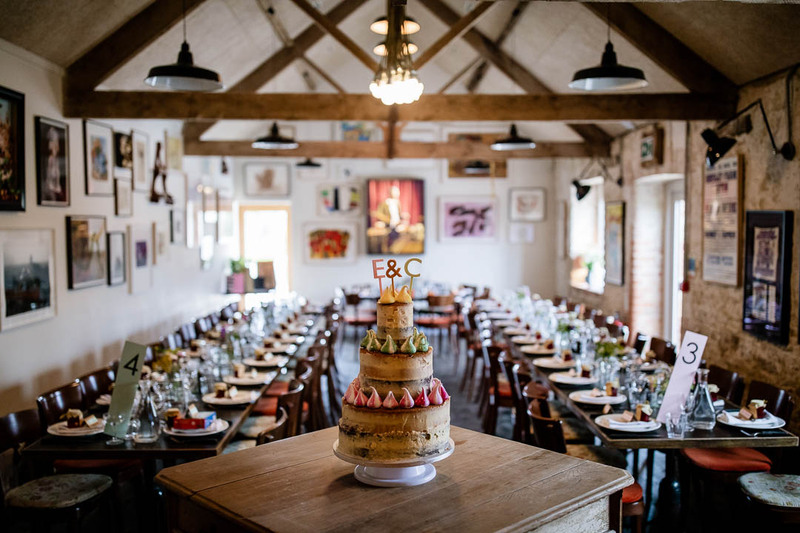 Who says you need expensive cake makers? 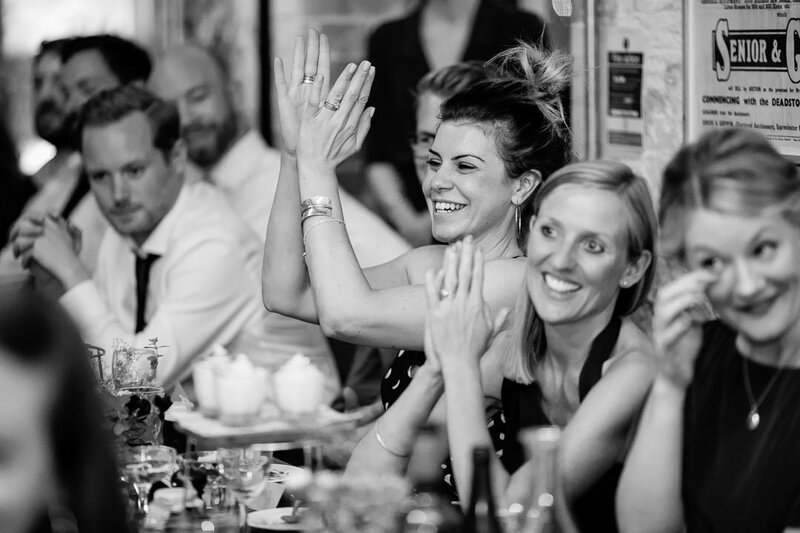 Finally, it was time to party, with Bristol band 45s providing the tunes for the evening. 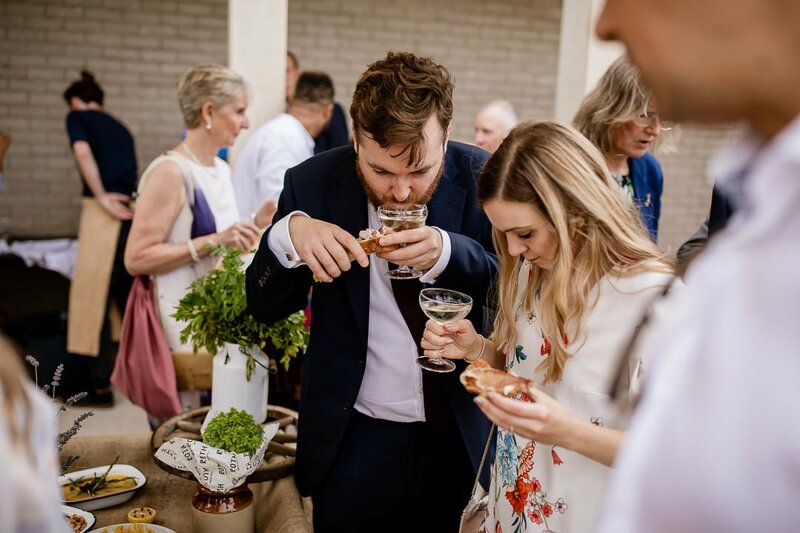 This Roth Bar & Grill wedding made a fun venue to shoot at and, more importantly, it combined everything Cat and Ed love – art, architecture, and delicious food!